« L’ATALANTE » EN 1990? 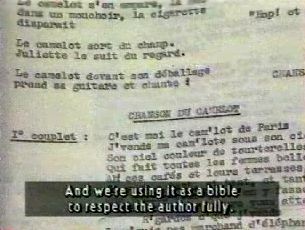 Jean-Louis Bompoint explique que le premier générique contenait des noms mal orthographiés comme celui de Charles Goldblatt. De plus il était très incomplet au point de vue technique et concernant les acteurs. 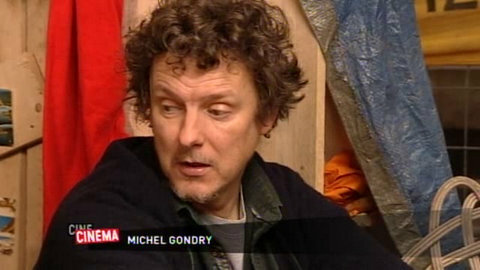 Pour faire ce nouveau générique de l’Atalante il a fait appel à son ami Michel Gondry. Prises de vue au lieu de Prise de vues (cf wikipedia). Dans le scénario original, Jean Vigo souhaitait que le Père Jules (Michel Simon) se batte contre lui-même par un trucage, lors de sa démonstration de Pancrace. 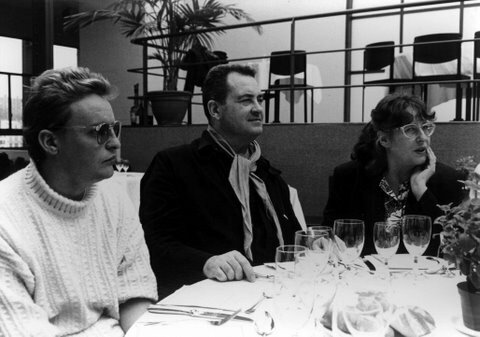 En 1990, Pierre Philippe et Jean-Louis Bompoint, Claude Copin et Gérard Soirant ont exaucé le voeu de l’auteur. Cette scène a été coupée par Bernard EISENSCHITZ dans la version 2000. 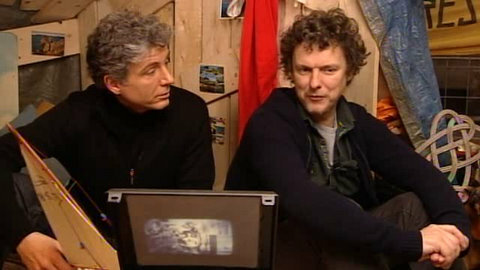 Lors de leurs recherches Jean-Louis Bompoint et Pierre Philippe ont retrouvé ce plan de Jean Dasté et Dita Parlo chantant Le Chant des Mariniers. Malheureusement il était flou. Devant la générosité et la fraicheur de ce plan, il a été décidé de l’inclure dans cette restauration en 1990. 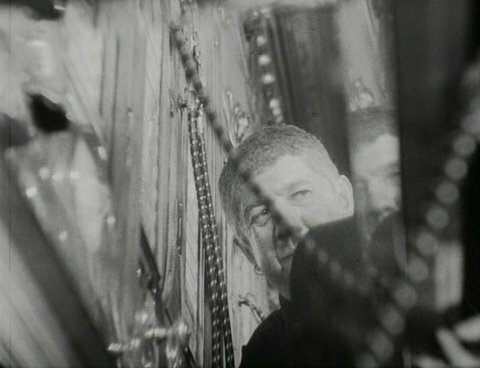 Séquence inédite du 1er couplet tournée à deux caméras par Jean Vigo retrouvée et intégrée par Jean-Louis Bompoint dans la version restaurée de 1990. Mutilée par Bernard EISENSCHITZ dans la version 2000. 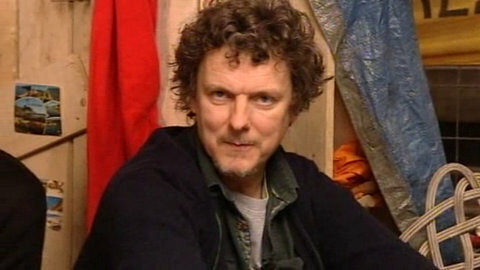 Jean-Louis Bompoint raconte qu’il avait retrouvé notamment des rushes inédits qui correspondent d’après le script original de Jean Vigo à la première recherche de Juliette par Jean. Certains étaient sonores d’autres muets, il a donc fallu restaurer cette séquence le plus plausiblement à partir des éléments originaux de la bande sonore du film et des voix des principaux acteurs. Supprimée par Bernard EISENSCHITZ dans la version 2000. Jean-Louis Bompoint se défend du parti pris sonore dans cette scène où le Père Jules (Michel Simon) retrouve Juliette (Dita Parlo). 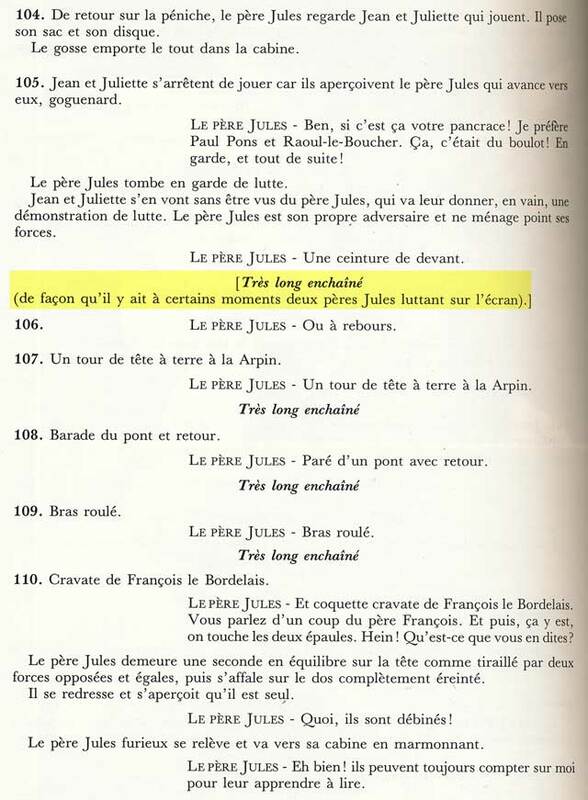 En effet, Pierre Philippe et lui ont préféré utiliser Le Chant des Mariniers dans la version orchestrée de Maurice Jaubert qui rappelle plus le disque que Juliette est censé écouter avec ses écouteurs. Alors que dans la version 2000, Bernard EISENSCHITZ a choisi d’utiliser une version du Chant des Mariniers chantée a capella par des voix qui ne sont même pas celles de Jean Dasté et Dita Parlo ! Plan mythique remonté par Pierre Philippe en 1990 dans la séquence du phonographe. Pourquoi toutes ces scènes ont-elles été coupées dans la restauration de 2000, menée par Bernard Eisenschitz ? Vous remarquerez que sur le clap de la prise sonore le chef-opérateur est Louis Berger. Mais où était donc Boris Kaufman ce jour là ? Avec Pierre (Philippe), ce que nous avons fait avant de toucher à un seul mètre de pellicule, nous avons voulu retrouver tous les survivants du film. Et à partir de toutes ces rencontres nous avons retrouvé le scénario littéraire du film et surtout le découpage technique avec tous les numéros (de plans). Mais ce qu’il y a de très important c’est que cela nous sert en gros de bible pour respecter l’auteur au maximum. Il faut bien que le public sache que l’on ne va pas prendre des initiatives personnelles. En aucun cas on ne veut trahir l’oeuvre de Jean Vigo. Nous sommes au contraire là pour le servir. The winter was going to be are harsh one. The fountains of the Champs Elysees were frozen over. The canals were full of blocks of ice. 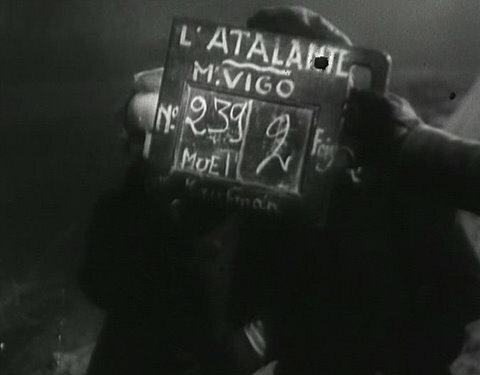 In this hostile environment, a certain Jean Vigo was making his first feature film, L’Atalante which began shooting on November 10th. Despite all that, Jacques Louis-Nounez persevered. He was the first to believe in Jean Vigo‘s genius. With the help of the same partners from Gaumont-Franco-Film-Aubert, he gathered the capital needed by the young director to attack a screenplay which Louis-Nounez had chosen for him for its supposedly tepid and apparently innocent populism: the story of the thwarted, but finally happy, love of a couple of young bargees, when the young wife gives in for a while to the temptations of the big city. 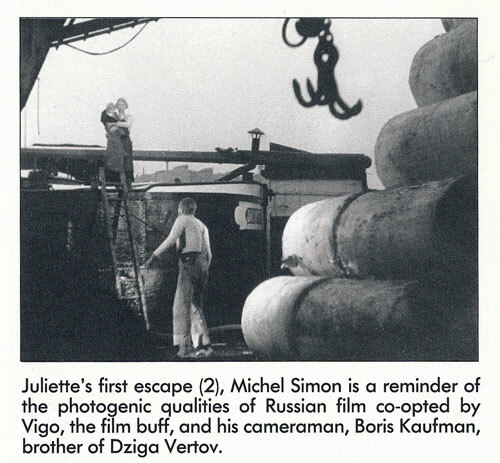 The project had two major advantages: the presence of Michel Simon who was already a well-known film star, thanks to Jean de la lune, La chienne and Boudu sauvé des eaux and that of Dita Parlo, already a star in Germany, who would find her first French-speaking role in L’Atalante. The third protagonist was a young unknown actor, a friend of Vigo and the hero of Zéro de conduite, Jean Dasté. Despite the difficulties caused by the weather conditions and breaks in filming due to the poor health of Jean Vigo — who was suffering from septicaemia and would die eight months later — principal photography was completed at the end of January 1934. 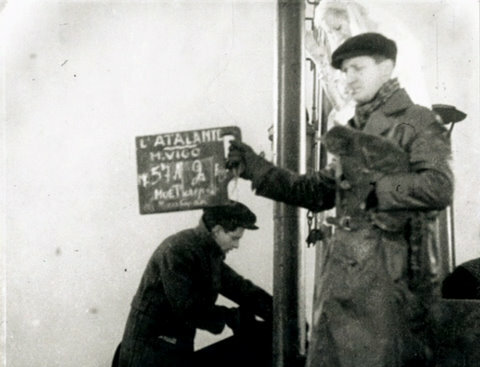 Jean Vigo, exhausted by the filming, left Paris in February for the mountains, leaving Louis Chavance to complete the editing of the film. The latter had been chosen for his skill with sound editing and had been imposed on Vigo by the producers. But at least the director had been able to insist that his editor follow the shoot from day to day. In April 1934, the editing was finished. Vigo, back in Paris, gave his approval except for a few details which he wanted to be able to change after the film had been screened to professionals. However, his failing health forced him back to bed. He would never get up again and would never see another image of L’Atalante. The so-called « corporative » screening was held on April 25th. The exhibitors unanimously rejected the style of the film which they felt would only put off audiences who were supposedly looking for entertainment. This opinion was that of the distributors from Gaumont-Franco-Film-Aubert. They asked the producer Jacques Louis-Nounez to carry out major changes and cuts. He finally gave in: after the banning of Zéro de conduite, he couldn’t take another risk like this. Louis Chavance then brought the film down from 89 to 65 minutes. He cut into Maurice Jaubert‘s music and replaced it in part with extracts from Le Chaland qui passe, a popular song which was a hit at the time. This was taken even further: the film was retitled with this very title. 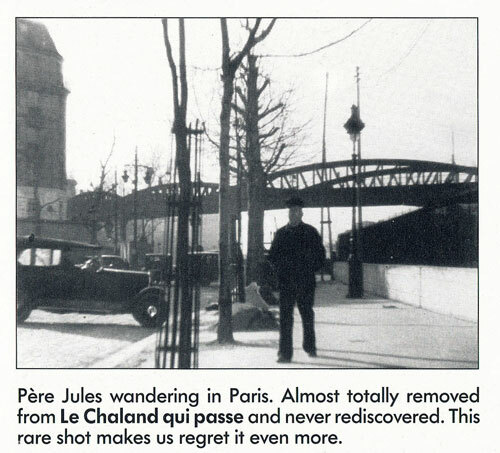 Le Chaland qui passe, a mutilated film by Jean Vigo, came out in September 1934 on the Champs-Elysées. Vigo’s friend, Pierre Merle, took photos of the decorated façade and hall of the Colisée cinema to show him. He now only had a month to live. Flattering reviews couldn’t stop L’Atalante disappearing from the screen after three weeks. The film had, of course, been presented as romantic entertainment for all the family, but even though it had been shorn of its most disturbing images, the film resisted and the frivolous audiences wanted nothing to do with it. The film, the masterpiece, was put back on the shelves. It didn’t reappear until October 1940. It wasn’t until 1949 that Jean Vigo and this life’s work — three hours of film in all — became the hobby-horse of the French Federation of Film Clubs. 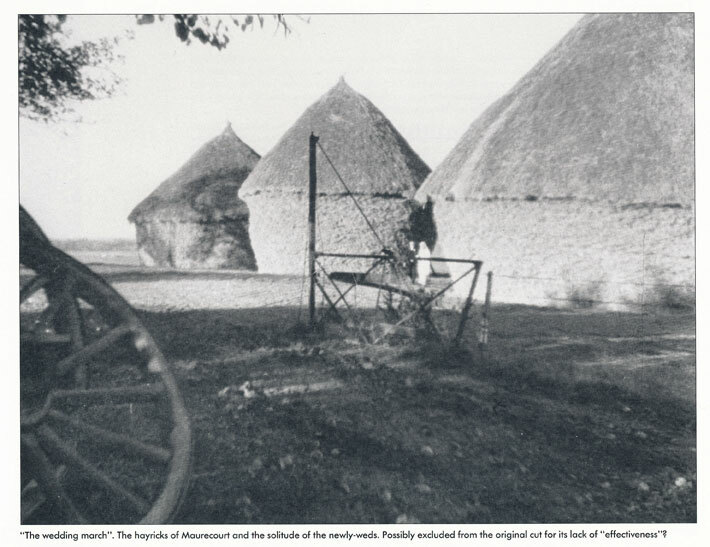 This was more than a rehabilitation: it was an apotheosis, almost a deification. 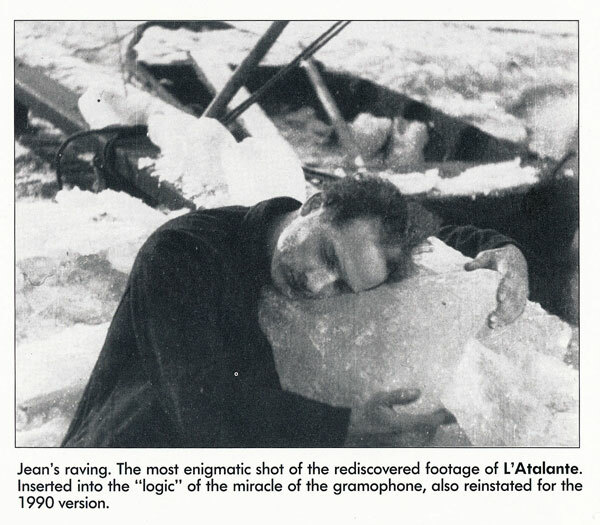 In 1985, Gaumont bought Franfilmdis, Henri Beauvais’s company, and — along with it — the stricken material of L’Atalante. Gaumont thus decided to start at the begining and travel back through the film’s tribulations. It began with a reexamination of the elements given to the Cinémathèque Française and which showed that they could bring about some amazing changes in the way L’Atalante was generally perceived. The first operation was the cleaning up of the image and the sound, in conjunction with systematic searches for all material in circulation. At the beginning of 1990, when the restoration had already started, an important discovery was made in the British Film Archive: a print from 1934, which had never left its cans. It was probably one of the first prints before the sacriligeous recutting of the film as it bears orginal cue dots and the title L’Atalante. With this print, we at last had a standard for the film, for even if this was not a version approved by Vigo, it was at least the closest we would ever get to it. 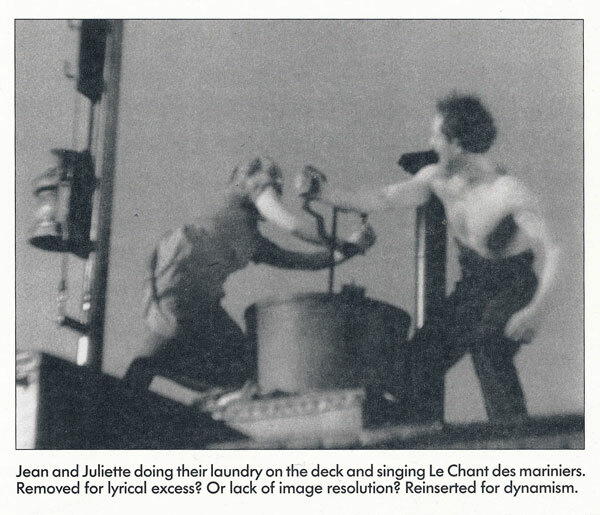 This discovery also incidentally disproved two legends concerning the poor quality of the sound and the deliberately grainy quality of the image: the original L’Atalante does not bear these scars of passing time and negligence. 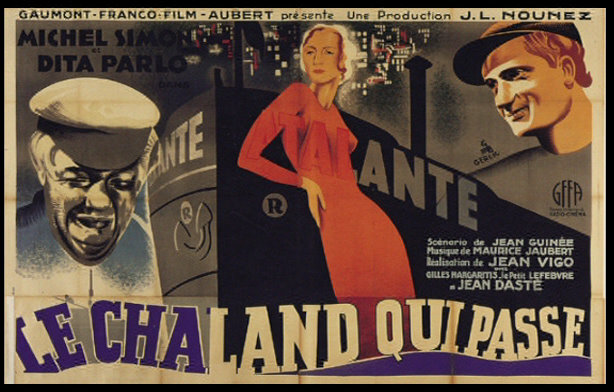 Another surprise came from Brussels and the Cinémathèque Royale which had an original of Le Chaland qui passe. We were thus able to discover that, despite general opinion, this version is far from perfect but has its qualities and, above all, contrains shots which were dropped for the 1940 recut! It is, paradoxically, often more complete than the exhausted old prints revered by the staunchest Vigoians ! We then had to be courageous and a little rash and, with all our love and respect for the work of Vigo, start to envisage the best way of fitting the shots into this reference print in order to make the perfect, even ideal copy, one that has never existed before, of a film that the whims of fate have condemned to atrophy and mutilation since its ceation. We had to assimilate the many different versions of the screenplay and the hastily-scribbled notes in the margin, find our way through the changes caused by Vigo‘s genius for improvisation, consult the silent or sound images that have miraculously survived the winter of 1933 in their moving freshness, and try to decipher what happened within the creator’s fertile mind in order to be able to capture its elusive spirit. We had to hunt down the last handful of people who had worked on the film and try to obtain from them the slightest bit of information that could shed light on the mystery of certain displaced shots and apparently incomplete sequences which were so beautiful that it would be criminal not to let them join their peers. Emotion and nostalgia mingle with the ever present memory of Vigo. But can one reasonably expect these witnesses to be rigourously precise fifty-five years after an event, even if it was the filming of L’Atalante? We had to take our responsibilities. Fully aware of the fact that we might well disturb some guardians of the temple. 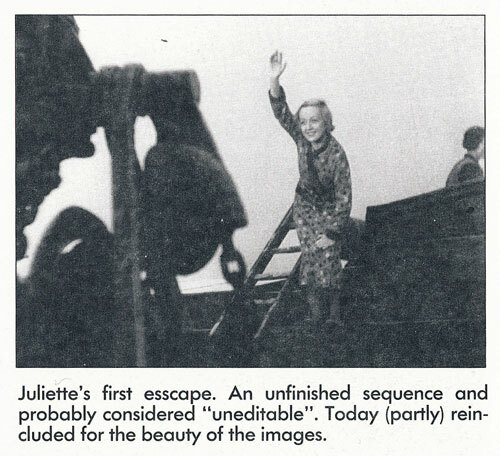 We’ll thus intervene in the very rhythm of certain parts of the film by reintroducing the sequence of Juliette’s first escape, which is missing from all the known versions; that of Jean wandering through Le Havre, before rushing towards the sea; and the sequence when Père Jules looks for Juliette along the Canal St. Martin. We’ll give a place to these moments which express a certain dilated time, as well as mobility, a sort of slowness which Vigo wished for. In so doing, we’ll allow a certain social setting to recover its rightful place and let the dockers do their work in the background of the drama. 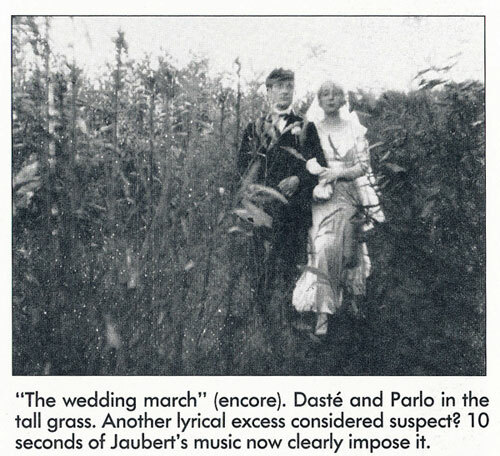 The wedding march will recover all its diversity thanks to the rediscovered footage as well as the musical intuition of Jaubert. We’ll have the newlyweds doing their washing and singing Le Chant des mariniers at the top of their voices. 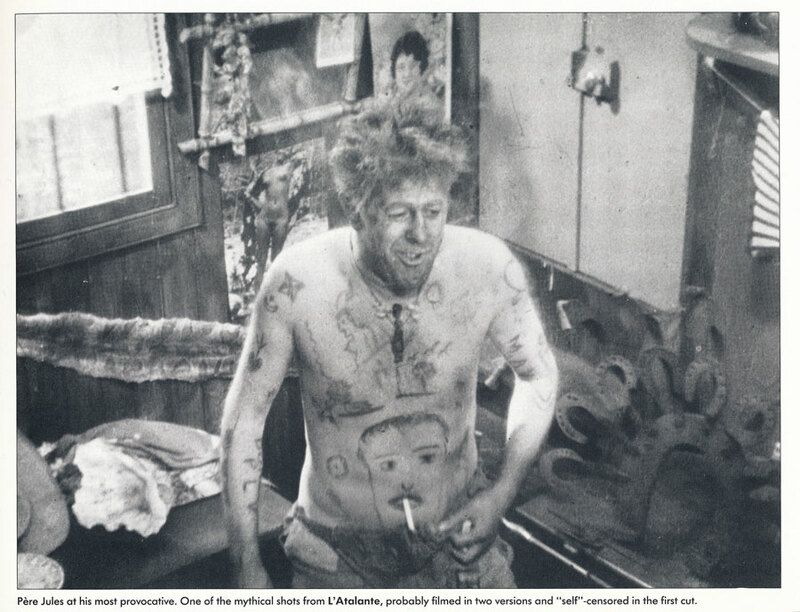 We’ll abolish one the great mysteries surrounding the film by — at last — showing Michel Simon with a cigarette in this tatooed navel. 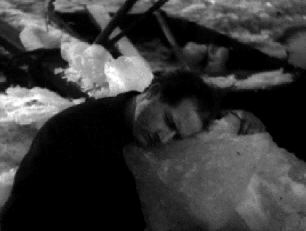 We’ll find the place for the flagrantly surrealist shot where Jean, carried away by passion and loneliness, hugs a block of ice. We’ll carry out Vigo‘s wish by having Père Jules fight himself. We’ll enrich and make more complex the sequence of the pedlar’s song which must have undoubtedly been greatly misunderstood at the time. 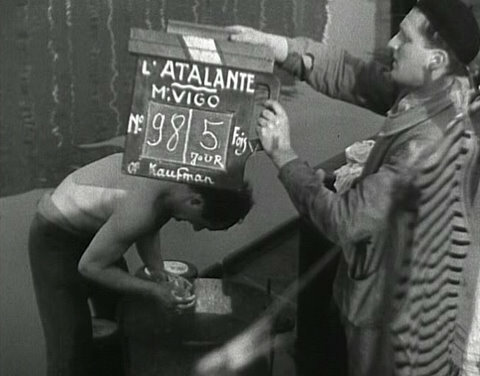 We shall do all this in the knowledge that Jean Vigo, given the conditions surrounding the filming of L’ATALANTE, could never have filmed one single shot that would not be used for the film or that would not fit in with his aims. Our work will be signalled from the very beginning by a new title sequence which also contains new titles. We’ll dare to do away with those shoddy title cards which were full of spelling mistakes, false credit attributions and omissions. Finally, we should like to thank all those people who, with their comprehensive collaboration, friendship and the faith they, like us, have in Jean Vigo‘s work, have helped bring about this rebirth of a film which, need we say it (but let’s say it anyway), is one of the pinnacles of film. Given the physical state of the Atalante print, we first had to repair the splices and, in places, strengthen the damaged perforations. Then, the first step was a slow-speed solvant bath in an ultra-sound machine in order to remove, from the film, dust caused by mould on the emulsion. Then a second bath in softened water with fungicides enabled us to halt the development of these fungi and thus improve the surface state of the gelatin. For the first time in the history, we have, with the L’Atalante, restored the soundtrack of an old film with digital recording. This process consists of taking the sound elements of the best quality possible (often isolated parts of the nitrate film, optical negative, original prints, etc…) and copying them directly onto a digital master (OPUS LEXICON system, unique in France). In this way, the sound can be analyzed and copied as many times as necessary without any loss of quality. The rest is a trade secret… but requires a precise mix of resynchronization, with analog, digital and computerized treatments of the highest sophistication in order to remove all interference. (with the help of Bell X-1). 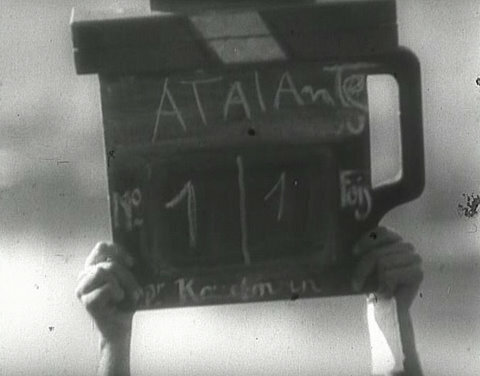 1 – the opening titles. An animated image background filmed on a caption stand with a drawing taken from the shot of the film. An attempt to diffuse the light throughout the image in order to create poetic atmosphere and expression. The images thus obtained serve as a support for the titles and link up with the first real shots of the film. For the titles: new graphics and new composition to follow the rhythm of the music. 2 – Michel Simon‘ pancratium (all-in wrestling) demonstration. The mixture of images is obtained by half-exposition and superimposition to obtain « 2 » Michel Simons fighting together. 3 – The final shot. 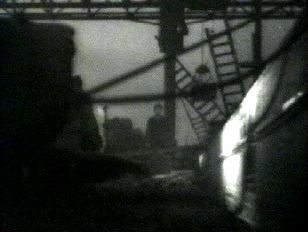 Filmed from a plane (the barge moving along the canal), the original shot is juddery and gives a clumsy, unpleasant impression. After a precise survey of all the frames of this shot, we have reset them one by one to eliminate as much as possible the unfortunate, uncontrolled camera movements. The images have been doubled up to give more scope to this final shot. Cet article a été écrit par Jean-Louis Bompoint. 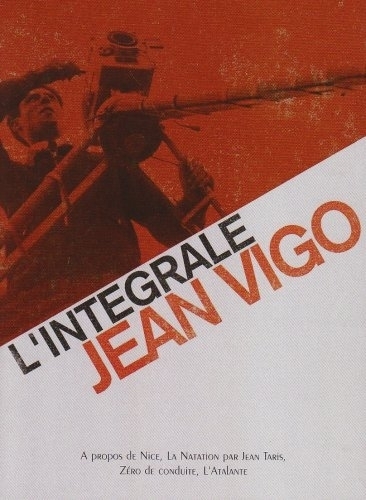 Le coffret DVD de l’intégrale de Jean Vigo est disponible depuis janvier 2002. Le prix d’achat : 208 Frs (31,71 Euros). De nombreuses photos, toutes connues, mais bien exploitées tout au long des 2 DVD et du livret de présentation. Le Journal de Jean Vigo redécouvert, même si Claude-Jean Philippe nous l’avait très bien montré lors de son excellent documentaire. Fort bien faite, sobre et élégante. Question emballage et depuis le début de son existence, Gaumont a toujours bien su présenter ses productions. De bien belles lettres, très émouvantes et nous faisant mieux comprendre la sensibilité comme la personnalité de l’Artiste. « Cinéastes de notre temps : Jean Vigo » par Jacques Rozier. Un formidable document, sobre et généreux, traité dans un style « nouvelle vague » (1964), absolument décapant et dont le discours de ses intervenants est aussi capital que les ouvrages de P.E Salès-Gomès et Pierre Lherminier, lorsque l’on veut tout savoir sur Jean Vigo. L’ami Serge Bromberg (Lobster Films) en compagnie de ses collègues, nous expliquent avec simplicité et efficacité, comment l’on arrive à présent, à « nettoyer » les scories techniques des bandes sons des films anciens. En cela, je pose le problème : Faut-il dénaturer un film pour faire bouillir sa propre marmite ? Formidable restauration de la bande image où l’on peut enfin redécouvrir tout le talent et l’ingéniosité du Chef-Opérateur Boris Kaufman. (Un grand bravo aux Laboratoires Neyrac & Daems !). Au fait, saviez vous que le Pierrot d’ »À propos de Nice » qui danse avec les jolies jeunes filles filmées en contre-plongée, n’est autre que Jean Vigo en personne ? 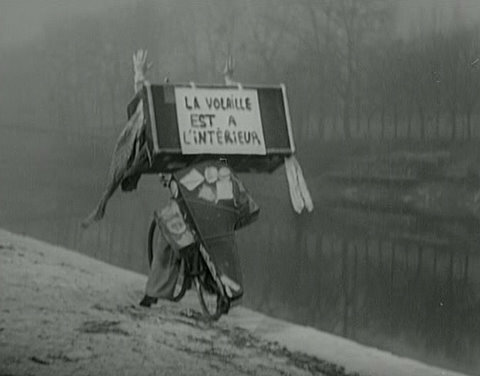 Le deuxième film de Jean Vigo, enfin ressorti des cartons, accompagné d’actualités Gaumont nous montrant d’autres exploits de Jean Taris. Le pompeux article de l’indécrottable François Truffaut, en ouverture du livret et originellement écrit pour préfacer l’ouvrage de Pierre Lherminier. Ne pas oublier que ce roi de l’opportunisme cinématographique, avait eu, entre-autres, le culot de prendre à son compte la partition de « l’Atalante », composée par Maurice Jaubert, pour illustrer musicalement son long métrage « L’Histoire d’Adèle H ». « Nice, à propos de Jean Vigo » de Manoel de Oliveira. Témoignages inutiles de Bertolucci & Anderson sur » Zéro de conduite « . Les « Harmoniques », qui font un pénible rapprochement de l’œuvre de Jean Vigo avec celles de certains cinéastes : Lourd et ennuyeux. On doit déplorer une profonde dénaturation de la bande sonore des 3 films sonores de Jean Vigo par des excès de restauration numérique. Un travail de restauration sonore avait déjà été fait sur « L’Atalante » en 1990 et sur « Zéro de Conduite » en 1992. Il était largement suffisant et de qualité. Aussi, pourquoi le sur-multiplier en 2001 ? Je me rappelle avoir présenté à Luce Vigo, en 1990, une ébauche de sonorisation de ce film muet, tourné à 16 images/seconde. Cette tentative était constituée d’enregistrements d’époque que j’avais réussi à synchroniser avec l’image, en regrettant toutefois que le télécinéma que j’avais pu récupérer à ce moment-là, était effectué à 25 images/seconde. Luce avait trouvé mon travail intéressant, mais l’avait cependant gentiment rejeté en me disant qu’« À propos de Nice » était avant tout un film muet et qu’il n’était pas question de le sonoriser, dans la mesure où le rythme des images composées par son Père et Boris Kaufman, constituait à lui seul, la partition musicale virtuelle du film ». 2001 : « À propos de Nice » est sonorisé sur des accents de musette et bruité numériquement dans le style le plus vulgaire qui soit. Sans compter que le film, originellement tourné à 16 images/seconde, n’a toujours pas été ramené à sa cadence de projection originale par les restaurateurs de chez Gaumont. 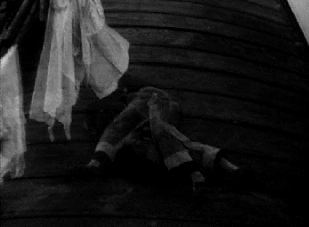 C’est regrettable, car le rythme même du film de Vigo (élaboré à l’époque de la dernière année du muet : 1929) est dénaturé lorsqu’il est projeté à 25 images secondes, c’est à dire en accéléré. Enfin, que vient faire dans le chapitre « À propos de Nice » du DVD, le « concert » de Marc Perronne, dont personne n’a que faire et dont l’accordéon souffreteux écorche (et en public, encore !) les belles mélodies comme les profondes harmonies de Maurice Jaubert, qu’il ne semble absolument pas maîtriser ? Tout cela sent le copinage à plein nez et permet actuellement à « l’artiste » de se pavaner dans divers festivals, bobines Vigoliennes et piano à bretelles sous le bras. La version restaurée de 1990 (et la plus complète à ce jour) est définitivement mise au panier. Bernard Eisenschitz, arrivant enfin à libérer son venin, nous en donne une nouvelle version. Certes, aucune restauration ne doit être figée, dans la mesure où si elle peut être améliorée, il est nécessaire de prendre exemple sur Pénélope, détissant sa tapisserie et refaisant cent fois son ouvrage. Mais dans le cas présent, l’œuvre de Vigo revient à son point de départ, c’est à dire dans le premier montage de Louis Chavance, sur lequel d’ailleurs, Vigo désirait apporter quelques modifications. (Cependant et malgré son désir de retour aux sources imprégné d’épuration, Eisenschitz ne s’est pas privé de garder pour son compte, certaines initiatives de la restauration de 1990 !). À ce sujet, je vous invite à vous connecter ICI sur les séquences vidéo QuickTime® que j’ai sélectionnées et commentées pour vous, afin d’illustrer mon discours. Dieu, que cela fait mal de voir son travail de restauration et des années de recherches passer sous la coupe de l’inquisition, représentée dans le DVD par les commentaires du « documentaire » de Bernard Eisenschitz : « Les voyages de L’Atalante », qui ne restera qu’un prétentieux pamphlet énoncé par » l’auteur « , d’une voix précieuse et monocorde et qui met gaillardement son nom en avant par 2 fois dans les génériques début & fin de ce qu’il ose appeler son » film » (un peu de promotion personnelle ne nuit pas !). Il faut entendre comment la restauration de 1990 est stigmatisée par des sous-propos fielleux et dignes d’un Jésuite qui se serait défroqué. Bref, le long-métrage de Vigo a été « revisité » comme aurait pu le faire l’Office Catholique du Cinéma sous le régime du Maréchal Pétain. (Voir et entendre lorsqu’Eisenschitz parle de « perfection de mise en scène » chez Vigo, alors que « L’Atalante » et « Zéro de Conduite » sont truffés de fautes de grammaire cinématographiques, dont tout cinéphile averti peut s’amuser à faire l’inventaire mais dont tout le monde se moque puisque le génie est là.). Le documentaire « Les Voyages de L’Atalante », propose une vision très « intellectualisante » du travail de Vigo, qui ne correspond absolument pas à la réalité. Cette réalité que m’avaient expliqué en 1989/90, les survivants du film : Charles Goldblatt, Pierre Merle, Jacqueline Morland, Jean Dasté, Henri Storck, Paul Grimault et Jean-Paul Alphen et qui est par ailleurs révélée avec justesse et par bien d’autres encore, dans le film documentaire de Jacques Rozier, réalisé en 1964. Suite à la publication en l’an 2000, d’un ouvrage fort discutable : » L’ATALANTE » (Editions LA CINEMATHEQUE FRANCAISE / LES BELLES LETTRES) où mon action sur le film de Jean VIGO a été stigmatisée par des théoriciens abusifs, puis d’un article de presse paru dans LIBERATION, le 09/07/01 sous la plume de Bernard WAINTROP (pour lequel je n’ai jamais pu obtenir de droit de réponse), je viens d’apprendre qu’un groupuscule de terroristes intégristes et inquisiteurs de la pellicule, venait tout récemment, pour des raisons obscures, voire politiques, (mais de toutes manières, ne visant qu’à servir leurs intérêts personnels), de saboter en toute légalité la version de » L’ATALANTE » de Jean VIGO, que j’ai restaurée en 1990 avec Pierre PHILIPPE, sur la demande à l’époque, de Madame Luce VIGO et de la Société GAUMONT, alors représentée pour cette occasion par Monsieur Michel SCHMIDT. N’ayant absolument aucun droit physique et/ou moral sur le film, sinon ma bonne foi, je ne puis aujourd’hui créditer ce désastre et il ne me reste qu’à assister, impuissant, à la nouvelle diffusion du film » revisité » en DVD, nanti d’une bande sonore dénaturée et d’une nouvelle interprétation de montage, que seule l’Histoire jugera. De par ces regrettables événements effectués à mon insu et sur lesquels l’on m’a volontairement écarté, je ne puis à présent accepter de venir commenter en public, une version de » L’ATALANTE « , que je récuse et qui a été dirigée par une personne qui n’a jamais touché un mètre de pellicule de sa vie, sinon dans ses fantasmes les plus Freudiens. En cela, chère Madame, je me dois de décliner votre sympathique invitation, en laissant à d’autres, la responsabilité d’exposer publiquement la malhonnêteté de leurs actions et initiatives, comme cela a déjà été pratiqué lors du dernier Festival du Film de Sarlat, le 1er novembre 2001 et le sera encore, du 16 au 29 janvier 2002, à l’Institut de L’Image d’Aix en Provence. Voici un extrait du découpage par Jean Vigo du scénario de L’Atalante tel qu’il a été relevé par Pierre LHERMINIER et publié dans son ouvrage Jean VIGO, Oeuvre de Cinéma (ed.Pierre Lherminier/Cinémathèque Française). 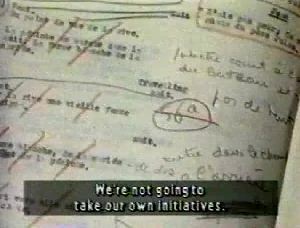 On voit bien que Jean Vigo avait prévu ce plan avec la surimpression des deux Michel Simon se battant l’un contre l’autre que Bernard Eisenschitz a supprimé de la version 2000 de L’Atalante (allant donc contre la volonté de Jean Vigo), surimpression qui figurait bien sur dans la version 1990 de de L’Atalante de Jean-Louis Bompoint et Pierre Philippe. Cet exposé exprime des points de vue totalement subjectifs qui le situent entre le manifeste et l’auto portrait d’un Homme de Cinéma. Manifeste par ses choix artistiques et la mise en valeur de certains Auteurs (et de certaines de leurs œuvres), auto-portrait de l’humble tâcheron Cinéma que je suis car lorsque l’on parle des êtres aimés et des œuvres admirées, on parle d’abord de soi-même. 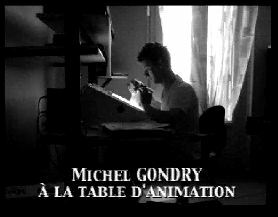 Ce site dévolu à Jean VIGO et à son long métrage, est dédié à Michel SCHMIDT, qui fût mon formidable Producteur chez GAUMONT, lorsque je fus engagé en 1990, pour participer à la restauration de « L’ATALANTE » et qui m’a toujours soutenu dans mes actions et initiatives. Un pincement au coeur parce que cette formidable et étrange aventure qu’a été cette restauration, m’a laissé des traces indélébiles où l’angoisse et la souffrance ne sont pas exclues. Je vais humblement essayer de vous relater en quelques mots l’odyssée de ce navire cinématographique dont le parcours a été riche en péripéties tant au point de vue technique qu’humain. Avant de commencer mon récit, je tiens à préciser que tous les propos et informations qui vont être énoncés devant vous aujourd’hui, n’engagent que moi . Je tâcherai cependant de rester fidèle et objectif face aux événements qui se sont déroulés dans la restauration de « l’Atalante » et suis heureux de répéter encore une fois que mon seul but au cours de cette aventure aura été de respecter et tenter de faire revivre dans son intégralité l’oeuvre de Jean VIGO. C’est au cours de l’une de ces nocturnes jam- sessions que je fis la connaissance d’un pianiste fort sympathique qui répondait au nom de Pierre SIGAUD. Pierre pratiquait la musique en amateur et une fois son travail d’administrateur auprès de la Cinémathèque Française achevé, il aimait faire swinguer les ivoires de son clavier auprès de musiciens animés par la même passion. Pierre SIGAUD n’ignorait pas que j’étais un réalisateur en herbe, connaissait ma passion pour le cinéma Français et mon amour pour l’oeuvre de Jean VIGO. Entre-temps, j’avais participé, en novembre 1985, au Festival International du Film d’Amiens, où mon film était sélectionné. Là, je fais connaissance d’un Producteur Canadien à la forte personnalité: Louis DUSSAULT, qui entre deux signatures de contrats, m’annonce qu’il avait rencontré au sein du Festival, une personnalité non dénuée d’intérêt: Luce VIGO, la fille du grand Cinéaste ! La révélation a été immédiate. A la vue des premières séquences synchrones défilant sur la table de montage, je découvrais enfin les pièces manquant au puzzle du film mutilé que je connaissais par cþur. Puis ce furent les rushes muets, inédits et superbes où l’on pouvait découvrir VIGO passant furtivement devant la camera de Boris KAUFMAN tandis que Pierre MERLE et Charles GOLDBLATT caressaient des chats sur le pont de la péniche. Enfin vint le tour des musiques et des sons seuls où je pus entendre la voix de Jean VIGO dirigeant ses comédiens, où les mélodies de Maurice JAUBERT ressortaient du passé comme par miracle, entraînées par le maigre faisceau orthochromatique du son optique. C’étaient trop d’émotions dans une seule journée, les larmes coulaient de mes yeux tant le spectacle qui se déroulait devant moi me paraissait incroyable et beau. Dès lors, une idée me vient en tête. Elle allait devenir un credo: « Il faut restaurer « l’Atalante » « . J’étais très embêté. Je n’avais pas le droit de dire à Luce et à Françoise que j’avais vu de quoi restaurer sérieusement « l’Atalante » sans pour autant obtenir la version complète du film. Plusieurs jours passèrent et le fait de ne rien pouvoir dire à Luce et Françoise commençait à devenir de plus en plus désagréable à mon esprit. Je trouvais injuste qu’elles ne soient pas informées. Peut être ai-je commis une bêtise, mais j’ai finalement décroché mon téléphone pour appeler Luce et Françoise. Là, je me suis aperçu que j’avais déclenché une poudrière lorsque j’ai expliqué ce que j’avais vu et entendu au Palais de Chaillot. J’ai eu beau dire que tout ceci était confidentiel, j’ai cru comprendre à la fin de mes deux appels que Vincent PINEL allait recevoir des nouvelles de Luce et Françoise. Après tout, je n’allais avoir que ce que je méritais: de sérieux ennuis avec la Cinémathèque Française. Ceux-ci ne se firent pas attendre et prirent la forme d’un coup de fil de Vincent PINEL m’annonçant d’une voix glaciale: « Vous vous êtes grillé à vie avec la Cinémathèque Française, je ne veux plus entendre parler de vous Monsieur BOMPOINT ! ». Décembre 1989, je termine la réalisation d’un dessin animé publicitaire pour l’EDF. Au studio, le téléphone sonne. Un certain Michel SCHMIDT, de chez GAUMONT demande à me parler… Il s’occupe entre autres du catalogue FRANFILMDIS que GAUMONT a racheté à Henri BEAUVAIS. 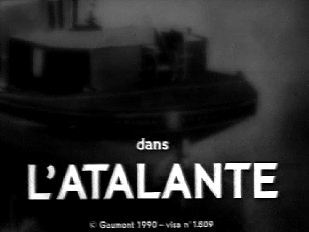 Dans ce catalogue, un film parmi tant d’autres: « l’Atalante ». GAUMONT, qui est le producteur originel du film, a décidé de restaurer ce long-métrage afin de le présenter à la séance d’ouverture de la journée du film restauré au Festival de Cannes 1990. « Luce VIGO m’a dit que vous étiez tout indiqué pour ce genre de travail, êtes vous intéressé de collaborer avec nous ? » me demanda SCHMIDT d’une voix chaleureuse… Deux heures plus tard, je me retrouvais dans les luxueux locaux de GAUMONT, à Neuilly sur Seine. Là, Michel SCHMIDT m’accueille avec un grand sourire en m’expliquant que Luce lui avait tout raconté à mon sujet concernant le malheureux incident du Palais de Chaillot. A présent les ennuis étaient terminés: j’étais choisi avec Pierre PHILIPPE, conjointement par GAUMONT et Luce VIGO, afin que nous dirigions officiellement la restauration de « l’Atalante ». Je n’osais y croire tant la surprise était de taille. Le rêve devenait réalité et le contrat fut signé dans l’heure. Restait à se mettre au travail. La première chose fut de remercier chaleureusement Luce VIGO pour m’accorder un tel honneur et une telle confiance. Ensuite, je partis à la rencontre de Pierre PHILIPPE, auteur, réalisateur, critique cinématographique et spécialiste de l’histoire du film ancien. Le premier contact eut lieu chez moi en compagnie de Luce. Je fus immédiatement impressionné par la personnalité de Pierre PHILIPPE, personnage érudit, plein d’humour grinçant et résolument hautain devant le commun des mortels, caste où j’avais le malheur d’appartenir à ses yeux. Cela m’inquiéta quelque peu mais je restais persuadé que nous allions faire connaissance et que d’ici quelques jours, la glace serait rompue. GAUMONT avait installé le Q.G. de « l’Atalante » au sein de sa cinémathèque à Joinville le Pont , dans les ex-studios PATHE, à côté des légendaires laboratoires GTC. J’adore ce lieu, il transpire le cinématographe. La poésie de ses bâtiments remplis de bobines et de machines infernales, couronnés par la cheminée géante des labos, me font dire que cette place a vraiment quelque chose de magique et d’intemporel. C’est vraiment l’endroit idéal pour travailler la pellicule. Là, je fis la connaissance des monteuses négatif des actualités GAUMONT, de Manuela PADOAN qui allait assurer le suivi commercial et administratif du film et de Laure FORESTIER, qui dirigeait le lieu. A quelques mètres de là, GAUMONT nous avait loué une salle de montage ultramoderne au sein des AUDI de JOINVILLE. Le visionnage des rushes et éléments originaux en nitrate inflammable se ferait chez GAUMONT sur table spéciale, et le montage définitif dans notre salle des audi. Il y avait également un laboratoire photographique à notre disposition équipé d’un appareil à reproduire et à agrandir les photogrammes 35m/m. J’avais obtenu de GAUMONT d’être le chef-monteur du film. Nous étions le 3 janvier 1990 et pouvions commencer à travailler. D’un commun accord avec Pierre PHILIPPE, nous décidâmes de visionner TOUTES les copies existantes du film de VIGO, afin de vérifier si l’on pouvait retrouver un quelconque élément oublié et de choisir la meilleure qualité pour la production du nouveau master. 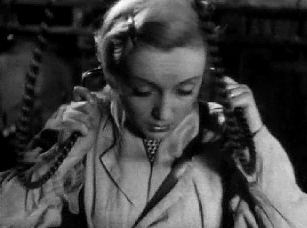 Comme chacun le sait, il y a eu quatre versions de « l’Atalante » présentées au public: une première version montée par Louis CHAVANCE selon les souhaits de VIGO en 1934, qui a été refusée par GAUMONT FRANCO FILM AUBERT et qui a été remaniée par le même CHAVANCE sous un nouveau titre: LE CHALAND QUI PASSE . Dans cette version, la musique de Maurice JAUBERT a été tronquée au profit d’une mélodie en vogue à l’époque, intitulée comme le nouveau titre du film et composée par C.A BIXIO. De nombreux plans ont été élagués et le film ne durait plus que 65mn au lieu des 84 originelles. En 1940, Henri BEAUVAIS qui dirige FRANFILMDIS, rachète le catalogue GFFA et par souci d’authenticité, tente de redistribuer le film sous son titre original en replaçant du mieux qu’il a pu la musique de JAUBERT et les plans qu’il avait fait couper par souci commercial lorsqu’il était actionnaire chez GAUMONT en 1934. Mais le négatif de cette nouvelle copie a été détruit pendant la guerre. 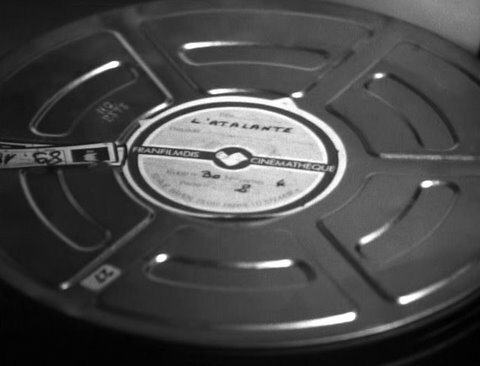 Ce n’est qu’en 1950 que La Cinémathèque Française réitère l’opération et offre à nouveau au public une copie de « l’Atalante » dont la qualité technique est exécrable. C’est à partir de cette version « officiellement reconnue comme la plus fidèle à l’esprit de VIGO » que nous avons, avec Pierre PHILIPPE, décidé de travailler afin de combler les vides et restituer l’oeuvre dans son intégralité. Nous avons donc visionné un nombre incalculable d’ « Atalantes » et de « Chalands qui passent ». Le plus petit mètre de positif, de négatif, de lavande, de contretype et de son optique sont passés au crible. Nous notifions très soigneusement les références des éléments de qualité qui allaient constituer la facture du nouveau négatif du film restauré. Puis nous nous sommes répartis les tâches urgentes à accomplir avant de commencer la restauration physique du film. Pierre PHILIPPE allait faire une enquête afin de retrouver tous les survivants du film pour y glaner quelque secret oublié et j’allais de mon côté, établir un relevé plan par plan, image par image, son par son, de tous les problèmes techniques et esthétiques à résoudre pour la version de 1950. Comme élément de comparaison j’utilisais le premier découpage de VIGO, publié dans l’ouvrage de Pierre LHERMINIER: Jean VIGO, Oeuvre de Cinéma. Au bout d’un mois de travail, j’avais achevé un rapport complet des 459 plans du film tenant sur 92 pages. Ce document, qui établissait un cahier des charges, allait nous être utile durant toutes les opérations à venir. De son côté, Pierre PHILIPPE avait retrouvé la trace de Charles GOLDBLATT , ami intime de VIGO et parolier des chansons du film, Pierre MERLE, assistant de Jean VIGO, Henri STORCK, ami intime et assistant de VIGO, Jacqueline MORLAND – CARDON, script-girl du film, Pierre CHAVANCE , le fils du monteur originel, Claude AVELINE, exécuteur testamentaire de Jean VIGO et Jean DASTE , comédien. Par ailleurs, j’avais réussi à rentrer en contact avec Jean-Paul ALPHEN, assistant opérateur de Boris KAUFMAN et Marie DEA qui fut mariée à Fred MATTER, script-boy du film. Armés d’un magnétophone et parfois d’une caméra, nous sommes allés recueillir les souvenirs de tous les collaborateurs de VIGO présents sur le tournage ou le montage de « l’Atalante ». Dans la majeure partie des cas, Pierre PHILIPPE menait les débats, fouillant dans la mémoire de ses interlocuteurs avec une précision et une obstination diaboliques. Malheureusement, il était difficile d’obtenir, 56 ans après, des renseignements dont la vérité avait été déformée involontairement par le passé. 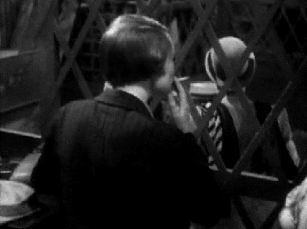 Un seul dénominateur commun reste l’ambiance du tournage qui s’est vraisemblablement déroulé dans l’euphorie générale malgré le froid persistant et la santé précaire de VIGO durant le dur hiver 1933. Malgré tout, ces gens gardaient un souvenir excellent des prises de vues et étaient loin de s’imaginer à l’époque, qu’ils participaient à l’élaboration de l’un des plus grands chefs-d’oeuvre de l’histoire du cinéma. Tout le monde avait peu ou prou le même âge et l’insouciance comme la bonne humeur chronique étaient de rigueur sur le plateau. Au fur et à mesure que j’avançais dans l’analyse image par image du film, je découvrais dans la scène de la poursuite du voleur de sac que l’un des figurants qui jouait un poursuivant, ressemblait étrangement à Paul GRIMAULT, grand maître du dessin animé Français. Je téléphonais immédiatement à l’intéressé qui me reçut dans ses studios de la rue Bobillot à Paris en m’expliquant que Jacques-Louis NOUNEZ, commanditaire du film, n’était pas favorable au tournage de la scène du voleur et qu’il n’était pas question de débourser un seul centime pour la mettre sur pied, craignant les foudres de la censure. VIGO décida donc avec son équipe de tourner la scène en cachette, la nuit, gare d’Orléans, avec des chutes de pellicule, une caméra muette et portable (DEBRIE-PARVO « L ») et l’aide de quelques copains dont les plus célèbres s’appelaient Pierre PREVERT (qui jouait le rôle du client pressé), Lou TCHIMOUKOV , et Paul GRIMAULT . Malgré l’ambiance clandestine des prises de vues, la police fut intriguée par le manège et fut bientôt sur les lieux. PREVERT et ses amis créèrent une véritable diversion en expliquant à la maréchaussée l’influence des rayons infrarouge sur la pellicule cinématographique en prise de vues nocturne ! VIGO avait gagné son pari et put tourner sa scène comme il l’entendait grâce à l’aide bénévole de quelques uns de ses amis et à la bénédiction des agents de ville. Notre restauration avançait, nous avions contacté toutes les cinémathèques Européennes afin de récupérer les copies existantes du film de VIGO, ainsi la Cinémathèque Royale de Belgique nous fut d’un grand secours. Nous désirions également avoir l’aide de Freddy BUACHE de la Cinémathèque Suisse, malheureusement pour nous, BUACHE était visiblement irrité de n’être pas associé directement à l’opération et se refusa à toute collaboration, prétextant qu’il n’avait absolument rien à nous communiquer… Il en fut de même pour Claude AVELINE. Pendant que je travaillais à la reconstitution de la bande image, Pierre PHILIPPE travaillait au documentaire de la présentation du film que lui avait commandé GAUMONT pour l’occasion. Ainsi, j’eus le bonheur d’aller filmer Jean DASTE dans sa maison de La Tour en Jarez et le plaisir d’effectuer toutes les prises de vues additionnelles, puisque j’avais été désigné comme chef-opérateur de ce court-métrage par Pierre PHILIPPE. 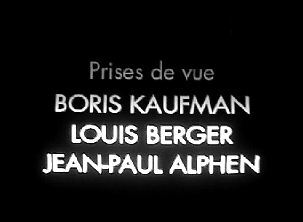 L’équipe de ce prologue avait été renforcée par la présence de Fred WORMSER, assistant opérateur et de Vartan KARAKEUSIAN à la prise de son, qui fut pendant de longues années le recorder des films de Jean GABIN dans la deuxième partie de sa carrière. Également, le remontage de L’ATALANTE devenant de plus en plus complexe, je demandais à mon assistant, Thierry TRELLUYER, de venir grossir les rangs de la troupe. Les rapports avec GAUMONT étaient excellents, « la grande maison », comme l’appelait Pierre PHILIPPE, avait décidé de tout mettre en oeuvre pour que cette restauration soit une réussite complète. Michel SCHMIDT passait nous voir une fois par semaine afin de constater comment le travail et les recherches avançaient. Avec lui, tout était possible dès qu’il s’agissait d’améliorer la qualité du film. Jamais je n’avais connu auparavant des conditions de travail aussi agréables. Dans ce climat, les choses avançaient forcément vite et bien. 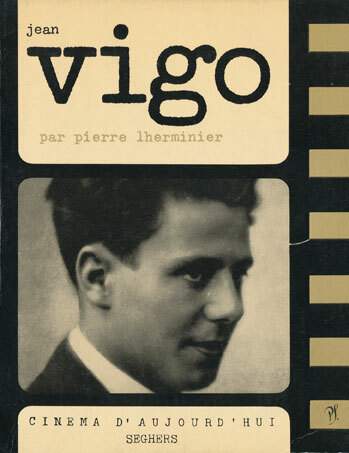 Cette chronologie a été extraite du livre de Pierre Lherminier paru aux éditions Seghers en 1967 consacré à Jean Vigo. En dépit de l’interdiction de Zéro de conduite, J.-L. Nou­nez souhaite poursuivre son activité de producteur, et il est résolu à ne pas abandonner Vigo. Il est donc assez vite envisagé de mettre en chantier un nouveau film, de long métrage cette fois. Divers projets avaient été ébauchés déjà au cours de l’hiver, alors même que Zéro de conduite était en cours de réalisation. Une sélection s’est opérée peu à peu, et lorsque la question se pose sérieusement, en avril-mai, deux projets surtout retiennent un moment l’attention de Nounez et de Vigo : il s’agirait dans le premier cas d’un film sur le cirque et dont l’interprète principal serait le clown Beby (Clown par amour) ; dans le second cas, d’un film inspiré par la vie de l’ancien bagnard Dieudonné. Ce dernier projet surtout est poussé assez loin, mais Nounez opte en défi­nitive pour un scénario assez anodin d’un auteur inconnu, Jean Guinée : L’Atalante. Peu séduit d’abord par le sujet, Jean Vigo se laisse convaincre par Albert Riéra des possibilités dont il dispose d’en faire une oeuvre per­sonnelle. Un jour Nounez m’a téléphoné, m’a fait venir et m’a dit « voilà, j’ai perdu de l’argent avec Vigo, mais ça ne fait rien. Vigo a beaucoup de talent, et je vois ce qu’il faut pour lui. Il faut lui donner un scénario vraiment très anodin ; alors là il va se dépenser avec tout son génie mais la censure ne pourra pas intervenir. Et c’est ce que je vais faire. J’ai un scénario pour lui, ça s’appelle L’Atalante, je vais le lui donner. » Quand Vigo a lu ce scénario, il m’a dit : « Mais qu’est-ce que tu veux que je foute avec ça, c’est un scénario pour patronage, enfin il n’y a rien. » Je lui ai répondu : « Je suis d’accord avec toi, c’est une histoire très banale, mais malgré tout il y a la façon de la raconter. » Il me dit : « Oui, évi­demment, » Et alors, là, son oeil s’est allumé. Il a commencé à s’intéresser à la question. Le scénario est communiqué à Vigo le 26 ou 27 août 1933. Le 31, il écrit à Eugène Merle pour lui demander d’intervenir auprès de Georges Simenon pour lui demander quelques conseils, quelques tuyaux : 1° Coins intéressants (canaux, éclu­ses). 2° Villages à mariniers. 3° Collections photographiques. Le projet se précise à la fin de l’été. Vigo et Riéra établissent l’adap­tation et le découpage, enrichissant le sujet à la faveur de longues conver­sations émaillées de souvenirs et d’anecdotes. Riéra, qui connaissait Michel Simon depuis l’époque où, acteur lui-même, il avait eu l’occasion de jouer à ses côtés, le présente à Vigo. La rencontre a lieu dans la loge de l’acteur au théâtre du Gymnase. L’accord de Michel Simon pour inter­préter l’un des principaux rôles de L’Atalante achève de décider Vigo à réaliser ce film, et les conversations du cinéaste et de son interprète contribuent à donner au personnage du « père Jules » (entièrement créé, d’ailleurs, par Vigo et Riéra) toutes ses couleurs. Nounez, de son côté, conclut de nouveaux accords avec Gaumont­-Franco-Film-Aubert, qui accepte de participer également à ce film (1). G.F.F.A. s’efforce en même temps de s’entourer de garanties, et demande notamment qu’un écrivain connu revoie les dialogues ; ce sera Blaise Cendrars, mais celui-ci, après lecture du découpage, ne voit rien à y ajouter et se récuse. (1) – Selon le témoignage de Henri Beauvais, Nounez avait constitué pour produire L’Atalante, une nouvelle société, en association avec son ami André Julfriche, banquier au Mans. Interrompant la préparation de L’Atalante, Jean Vigo est à Bruxelles, pour présenter Zéro de conduite au club de l’Ecran, sur l’in­vitation de son animateur André Thirifays. Il prononce à cette occasion le texte connu sous le titre de « Présentation de Zéro de conduite ». Divers autres ciné-clubs belges mirent ensuite ce film à leur programme, et la presse spécialisée du pays lui consacrera des articles souvent plus lucides que ceux de la critique française. Les derniers détails du tournage de L’Atalante sont réglés. Les acteurs principaux : Michel Simon, Dita Parlo, Jean Dasté, sont engagés par Vigo et Nounez, en plein accord (et, sans doute, après approbation de Gaumont-F.F.A.). Vigo et Riéra complètent la distribution en mobilisant les amis. L’équipe technique est également cons­tituée. Réalisation de L’Atalante (début vers le 10 no­vembre), d’abord à Conflans-Sainte-Honorine (Seine-et-Oise), à proximité du confluent de l’Oise et de la Seine (2), puis sur la péniche La Louis XVI, rebaptisée en Atalante, au cours d’un périple fluvial qui conduit l’équipe sur les eaux de l’Oise et de la Seine, du canal Saint-Denis et du canal de l’Ourcq, avec divers séjours sur celles du bassin de La Villette, à Paris, proche des Buttes-Chaumont et du Studio Gaumont où se tournent les séquences d’intérieur. Les extérieurs sont défavorisés par un temps très dur, avec froid, pluie, neige et gel, et la santé de Jean Vigo est à nouveau menacée. (2) Selon Salés-Gomès, ce serait à Maurecourt. En fait Conflans et Maurecourt sont deux localités voisines, celle-ci sur l’Oise, celle-là sur la Seine, de part et d’autre du confluent, et il est probable que le tournage a em­piété sur le territoire de l’une et de l’autre. Le tournage se poursuit tant bien que mal, malgré les dif­ficultés. Les conditions atmosphériques et l’état de Jean Vigo imposent diverses interruptions. Mais le travail n’est jamais abandonné. Les retards qui s’accumulent amènent cependant Gaumont à prendre une attitude de plus en plus dure, et quelques plans prévus au découpage doivent être supprimés, d’autres abrégés ou simplifiés par souci de réduire le prix de revient du film. Le travail s’achève pratiquement à la fin du mois, sauf quelques plans de raccord et les images de la fin, qui seront tournés par Kaufman dans les premiers jours de février, suivant les instructions précises données par Vigo. Avant la fin de la première quinzaine, un premier montage est établi. 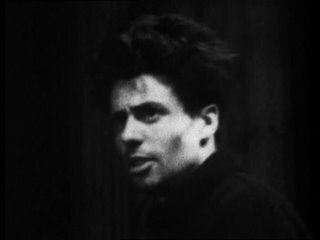 Jean Vigo, accompagné de Lydu et de quelques amis de l’équipe, quitte Paris pour Villard-de-Lans. Pierre Benielli, ami connu au temps du séjour à Nice et animateur du Ciné-Club de Grenoble, a préparé leur arrivée et retenu leurs chambres à l’hôtel « L’Edelweiss ». Ils y séjournent à peu près un mois. Au retour de Villard-de-Lans, la santé de Jean Vigo ne s’est pas améliorée, et il doit s’aliter. Louis Chavance travaille seul au mon­tage définitif du film. La musique est, une fois de plus, l’oeuvre de Maurice Jaubert. Le montage terminé, une projection privée est organisée pour Nounez, la direction de Gaumont et les principaux techniciens. Peut-être Vigo peut-il encore y assister (1). Les distributeurs, convaincus à l’avance de l’échec commercial de ce film, demandent des coupures. Louis Cha­vance suggère la suppression de deux plans secondaires, suppression que Vigo approuve et qui donne satisfaction à G.F.F.A. (2). Nounez, pour sa part, confiant jusqu’au bout dans le génie de Vigo, accepte le film tel qu’il est, mais se résigne aux modifications demandées. (1) Selon Salès-Gomès, Vigo, revenu malade de la montagne, put encore assister à deux projections de son film. Mais Albert Riéra ne se souvient de sa présence qu’à une seule projection antérieure à son départ pour Villard-de-Lans, et où il ne pouvait donc s’agir que du premier montage. (2) Cf. « Encore un mot sur l’Atalante a, par Louis Chavance, Cahiers du Cinéma, n° 53, décembre 1955. Présentation « corporative » de L’Atalante, au cinéma « Palais Rochechouart », 56, boulevard Rochechouart à Paris-18° (salle du circuit Gaumont). Le public, composé en grande partie d’exploitants de salles, ne marque qu’un très faible intérêt pour ce film. Quelques critiques assistent également à la projection, et certains d’entre eux prennent parti au contraire pour le film de Vigo. Plusieurs articles paraissent dans la presse spécialisée au cours des semaines qui suivent. Les réactions des exploitants sont cependant essentielles aux yeux des dirigeants de G.F.F.A., et l’accueil réservé à L’Atalante les amène à envisager des modifications importantes. Ils convainquent Nounez (qui n’a pas la possibilité de défendre longtemps un film qui ne semble pas, tel qu’il est, pouvoir trouver aisément son public) d’accepter d’inclure à la partition musicale de Jaubert l’air d’une chanson célèbre Le Cha­land qui passe, du compositeur italien C. A. Bixio, et que chante Lys Gauty. Le film lui-même est débaptisé et prend le titre de la chanson. Selon Nounez et Riéra, Vigo s’est lui-même résigné, quoique à contre­coeur, à ces interventions qui paraissaient nécessaires pour sauver com­mercialement le film (1). Il en est probablement de même pour Jaubert, sans l’accord de qui rien n’aurait pu être fait. (1) D’autres témoins importants, comme Claude Aveline et Charles Gold­blatt, assurent au contraire que Vigo a violemment réagi contre cette trans­formation. L’Atalante (dans sa version originale, seule connue alors) fait partie de la présélection française pour le Festival de Venise. Mais il ne sera pas retenu dans la sélection définitive. Au cours des dernières semaines, l’état de santé de Jean Vigo s’est encore aggravé. Fernand Després, écrivant à Pierre de Saint-Prix, parle d’un pauvre malade que la médecine soigne sans espoir (18 juillet). Il est atteint d’une septicémie à streptocoques, maladie aujourd’hui assez aisément dominée, mais devant laquelle la médecine d’alors est à peu près impuissante (2). (2) Il semble que le témoignage de Fernand Després, ami très proche de Vigo depuis toujours, et qui a pu s’entretenir avec ses médecins, suffise à confirmer la nature exacte de sa maladie. 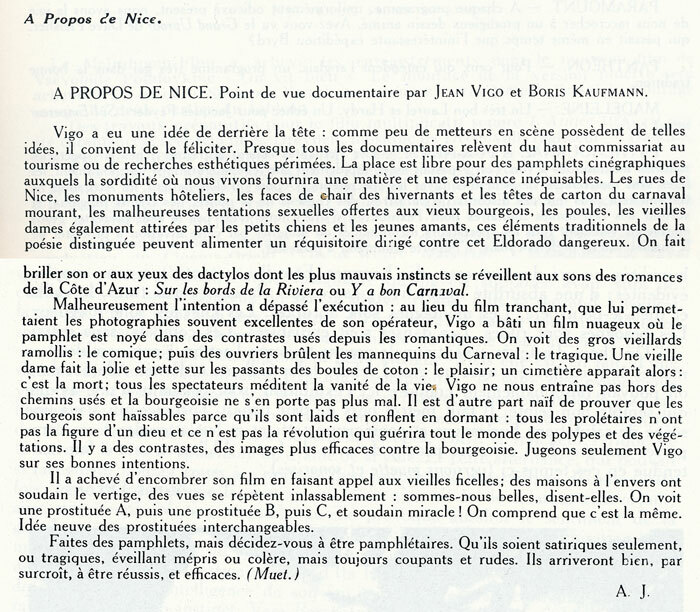 Progrès constants de la maladie de Jean Vigo. Vers le 12 ou le 13, Le Chaland qui passe sort en exclusivité au cinéma « Colisée », autre salle du circuit Gaumont, 40, avenue des Champs-Elysées (1). De nombreuses critiques, souvent élogieuses quoique généralement assor­ties de réserves, sont consacrées au film. Mais l’accueil qui lui est fait par le public est médiocre, et l’exclusivité cessera dès la fin du mois. D’autres sorties auront lieu, avec le même résultat, dans quelques villes de province, et très vite l’exploitation commerciale sera pratiquement totalement interrompue. Au même moment, Jean Vigo s’affaiblit chaque jour un peu plus. « Je ne sais si Jean Vigo sera vivant encore lorsque tu recevras ma lettre. Depuis un mois, il a trouvé le moyen, lui si maigre déjà, de se réduire chaque jour un peu plus. A force de volonté, il se nourrissait un peu — si peu ! Mais depuis quelques jours, il ne peut supporter aucune alimentation, si légère soit-elle. Le cœur fléchit. Il est souvent somnolent. Sa voix n’est plus qu’un souffle. (1) Cette « sortie » dans l’une des meilleures salles de son circuit permet de penser que G.F.F.A. « croyait » davantage au film qu’on l’a laissé enten­dre. Elle suffit en tout cas à annihiler les soupçons de « sabotage » qui ont parfois été exprimés. Il en est de même pour la date de sortie, considérée dans la profession comme une « bonne date », alors qu’une sortie plus rapide se serait située dans l’été, époque réservée, elle, aux « fonds de tiroirs ». OCTOBRE (1″ au 4 octobre) 1934. Un léger espoir d’amélioration, auquel les amis de Vigo ne veulent pas tout à fait croire, se produit dans son état, dès le soir du 30 septembre. « L’état de Jean Vigo est certes très alarmant; l’autre jour, à la suite de vomissements de bile, il était devenu cadavérique. Il était aussi bas que possible. Les médecins semblaient avoir perdu tout espoir. A le voir, on devinait la fin proche. Et voici que la température, qui était invariablement, vers 10 heures du soir, de 39°8, est tombée. Le thermomètre marque 37°5. Le malade ne s’alimente pas. Il boit péniblement du jus de fruit, de l’eau de Vittel ou du tilleul. Cependant, hier, il a réclamé du chocolat au lait. On lui en a servi un bol qu’il a mangé en y trempant du pain. Il paraissait content. C’est la première fois, depuis sept mois qu’il est couché, qu’on le voit manger avec satisfaction. Mais il se plaint de rhumatismes. Il dort mal et sa fatigue est extrême. Au matin, l’amélioration subsiste, et Fernand Després se force à l’optimisme. « Que les renseignements que je t’ai donnés sur la santé de Jean ne te détournent pas de lui écrire. Un mot de toi lui donnera du réconfort. Tu pourrais lui dire que je t’ai tenu au courant de l’heureuse amélioration survenue dans son état : la chute de la fièvre, premier symptôme heureux, signe avant-coureur de la guérison. Mais le même jour, à 21 heures, Jean Vigo est mort. Quelques instants plus tard, Lydu tente de se précipiter du haut d’une fenêtre de l’appartement. Des amis l’en empêchent, mais son état de dépression sera tel qu’elle devra être conduite en clinique le lendemain. Elle en sortira dans les derniers jours du mois. Obsèques de Jean Vigo au cimetière de Bagneux, où repo­sent déjà les restes d’Almereyda (son père). 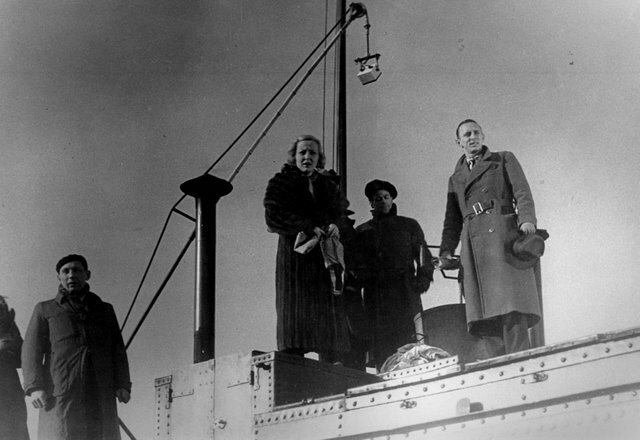 Dans l’assistance, Fernand Després et les amis du temps de l’anarchie reconnaissent Emily Clero, la mère de Jean Vigo. L’après-midi du même jour, Le Chaland qui passe est présenté salle « Adyar », dans le cadre d’un « hommage à Michel Simon ». 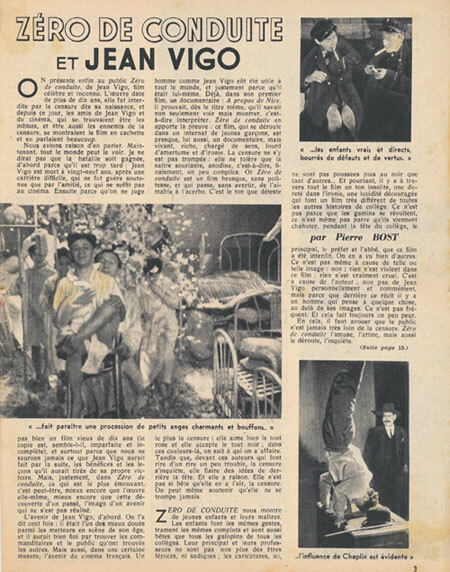 Ce jour-là et les suivants, la presse française consacre quelques articles à Jean Vigo, soulignant l’originalité de son oeuvre et les promesses qu’elle contenait. Il en est de même dans la presse belge (1). (1) L’Atalante, dans sa version Chaland qui passe, sera projeté en Belgique dans le courant de 1935. Une version plus proche de l’Atalante originale sera présentée le 24 octobre de la même année au « Club de l’Ecran » d’André Thirifays. Le public britannique, pour sa part, pourra voir l’Atalante et Zéro de conduite dès 1934, et la critique la plus influente, dont John Grierson, se fait l’écho chaleureux de ces projections. Lydu, qui n’a pas réussi à combler le terrible vide de sa vie (1), meurt le 24 avril. Elle est enterrée le 26, à son tour, au cimetière de Bagneux. Henri Beauvais, qui a cessé en 1937 d’exercer les fonctions de directeur de la distribution de Gaumont-Franco-Film-Aubert et qui a fondé sa propre société de production et de distribution, Franfilmdis, s’assure la propriété des droits d’un stock d’anciens films Gaumont, parmi lesquels Taris, Zéro de conduite et L’Atalante. Elle s’occupait alors avec sa soeur Genya des activités de la « Société des Amis de la nation polonaise », dont Mme de Saint-Prix avait accepté la Présidence. Reconstitué par les soins de Henri Beauvais dans une forme sinon exactement conforme (comment le savoir ? ), du moins aussi voisine que possible du film voulu par Vigo, L’Atalante commence sa véritable carrière au studio des Ursulines. Excellent accueil d’une grande partie de la critique. Succès commercial relatif : trois semaines d’exclu­sivité aux « Ursulines », mais l’exploitation se poursuit tant bien que mal pendant quelque temps dans les salles de quartier et en province. publique (1). Il est programmé en novembre 1945 au cinéma « Panthéon » avec Espoir d’André Malraux. 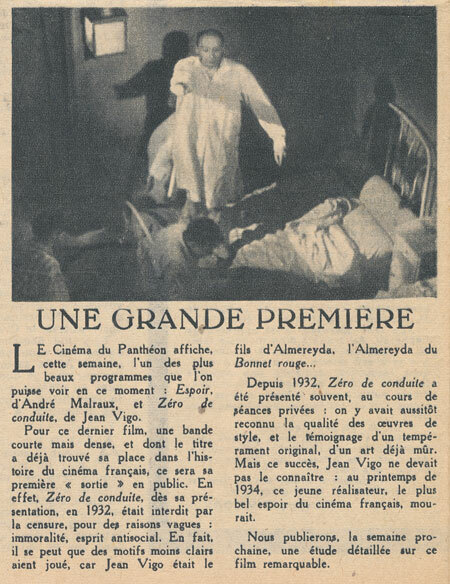 (1) Sa projection en séances privées n’ayant jamais été interdite, il avait pu être présenté fréquemment en ciné-clubs. Août-Septembre. Au « Festival du Film de Demain », organisé sous l’égide de la Cinémathèque Française, projection de L’Atalante, dans une copie complétée par Henri Langlois grâce à diverses « chutes » de film que lui a confiées Henri Beauvais. Il ne s’agit pas d’une version « intégrale » (sans doute impossible à reconstituer), mais en tout cas, probablement de la plus complète possible. Les témoignages suivants sont tiré du livre sur Jean Vigo de Pierre Lherminier, ed.Seghers.1967. Vigo avait un scénario très très précis et en même temps, aussi, souvent il inventait en fonction des gens avec qui il était et des situations données (…). A l’intérieur de ce scénario on avait l’impression qu’il se servait de toute la vie. Par la force des choses d’ailleurs, et par économie, la plupart des acteurs qui jouaient les petits rôles dans le film étaient des amis, des gens qu’il connaissait. Et ce n’était pas pour leur faire plaisir, c’était parce que ça correspondait à ce qu’il voulait et à un besoin, justement, pour bien travailler, de travailler en équipe et en amis. Et en même temps, il était dans un contact constant avec la vie, avec les choses présentes. Il m’a souvent combattu, parce qu’il trouvait que je faisais un peu théâtre, alors il me disait : « Ne fais pas du Copeau ! ne fais pas du Copeau ! sois plus simple ! sois plus direct ! ». Toute cette cabine de Michel Simon, je me souviens, Vigo a mis du temps à l’habiter. Il a cherché, il a demandé des objets à des amis. On lui prêtait des objets et il était passionné par tout ce qu’il mettait dans cette chambre et toute l’atmosphère qu’il devait lui donner. Et c’est vraiment lui qui a tout apporté, qui a tout mis, c’est lui qui a amené tous les objets qui donnaient l’at­mosphère extraordinaire qu’il y a dans cette petite cabine. Déclarations à la Télévision française. Quand je voyais Vigo, j’avais, à ces moments-là déjà, l’impres­sion, vous savez, que donnent les bougies avant qu’elles s’étei­gnent — elles donnent quelquefois de très grandes flammes, plus grandes, elles sont curieusement grandes, ce souffle énorme, plu­sieurs fois, mais qui brille merveilleusement, une foule de lumières autour de cette flamme, et Vigo, pour moi c’était toujours cela. Je sentais qu’il n’était déjà plus ici. J’ai l’impression que Vigo se laissait tout de même surprendre par la vie elle-même, par les scènes qui se formaient, par les acteurs, le texte, la lumière et ce qu’il voyait. C’était comme une atmosphère, comme quelqu’un qui se trouve dans cette pièce par exemple et qui est là, et qui par sa personnalité fait marcher les choses, tandis que Renoir était, à mon avis, plus ferme, plus des­pote, et faisait tout de même beaucoup plus trembler les gens. (…) Vigo avait une telle estime, si vous voulez, une telle dévotion devant chaque être humain et devant chaque personne, qu’il essayait de ne pas y toucher mais de le montrer sous ses meilleures possi­bilités sans le tracasser du tout. (…) On était entièrement libre, tout en regardant constamment Vigo pour savoir si oui ou non c’était ça. Je l’ai surtout vu dans ma loge, quand il venait pendant le spec­tacle, au théâtre du Gymnase. Je lui racontais des histoires vau­doises et c’est là que, petit à petit, le personnage de L’Atalante s’est dessiné. Dans ma loge, parce que je racontais des histoires. Je lui disais : « Je connais un personnage, à Leysin, le père Isaac, qui était un personnage très extraordinaire, très extravagant, un personnage hoffmannesque. » Ça séduisait Jean Vigo et finalement le person­nage s’est créé comme ça, tout seul. Je lui avais dit : « Je déteste répéter deux fois une scène, la seconde fois elle est fatalement mentie. » Eh bien, il y a peu d’hommes qui ont compris ça, il y a Vigo, il y a Renoir, il y a Sacha Guitry, il y a très peu de metteurs en scène qui ont com­pris que la deuxième fois, c’était déjà un mensonge. Il avait une liberté totale dans ce qu’il faisait. – « Et si on faisait ça ? – Ah ! merveilleux ! – ou ça ? – Ah, c’est épa­tant ! » Il tenait compte de toutes les suggestions, n’est-ce pas. (…/…) – Vous savez, la scène du disque où il entend la musique en passant le doigt, c’est venu immédiatement, dans ce matériel hétéroclite, invraisemblable. La poésie naissait de la présence des objets. Le cinéma réaliste et poétique français prend son départ avec Vigo. L’école réaliste et sociale de 1936/1940, appelée aussi école du « Réalisme fantastique », lui fait suite, et le néo-réa­lisme italien ne lui est pas si « étranger ». Moins étranger, en tout cas, que cette « nouvelle vague » française, avorton du nouveau cinéma italien, mais à qui il manquait ces trois qualités qui font la beauté et la jeunesse de Vigo, de l’école française de 1936 et de l’école italienne de 1944: la poésie, l’humour et l’amour. Ce groupement a donné le 14 juin une séance sur le jeune cinéma français avec une causerie de Jean Vigo : Vers le Cinéma. social, suivie de la présentation du film de Vigow Kaufman (sic) : A propos de Nice, une oeuvre aux intentions heureuses, mais qui peut très bien ne pas plaire par son hermétisme. Autres films présentés : Les Sports, inédit de Jean Lods, et Paris-Cinéma, de Chenal et Mitry, intéressantes révé­lations sur le cinéma. La séance du 21 juin a été consacrée à Dekenkeleire, un des principaux chefs de l’avant-garde belge et auteur de Combats de Boxe, Impatience, His­toire de Détectives; d’une technique très personnelle et audacieuse, ces orchestrations d’images présentent des déséquilibres évidents. L’Effort. Pour clôturer « un an d’efforts », le groupement « L’Effort » dont nous avons signalé les habiles séances cinématographiques, a orga­nisé une « soirée cinématographique « chez Georges Méliès il y a vingt ans » et « une soirée au studio 28, en 1930 ». Agréable confrontation du passé et du présent et dont on peut tirer de très intéressantes conclusions. Un hommage enthousiaste fut rendu à Georges Méliès, qui voulut bien rappeler quelques-uns de ses plus réjouissants souvenirs. A PROPOS DE NICE. 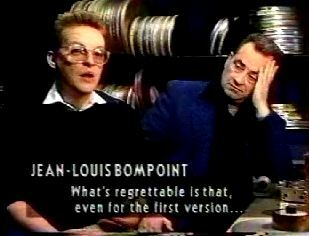 Point de vue documentaire par JEAN VIGO et BORIS KAUFMANN. Vigo a eu une idée de derrière la tête : comme peu de metteurs en scène possèdent de telles idées, il convient de le féliciter. Presque tous les documentaires relèvent du haut commissariat au tourisme ou de recherches esthétiques périmées. La place est libre pour des pamphlets cinégraphiques auxquels la sordidité où nous vivons fournira une matière et une espérance inépuisables. Les rues de Nice, les monuments hôteliers, les faces de chair des hivernants et les têtes de carton du carnaval mourant, les malheureuses tentations sexuelles offertes aux vieux bourgeois, les poules, les vieilles dames également attirées par les petits chiens et les jeunes amants, ces éléments traditionnels de la poésie distinguée peuvent alimenter un réquisitoire dirigé contre cet Eldorado dangereux. On fait briller son or aux yeux des dactylos dont les plus mauvais instincts se réveillent aux sons des romances de la Côte d’Azur : Sur les bords de la Riviera ou Y a bon Carnaval. Malheureusement l’intention a dépassé l’exécution : au lieu du film tranchant, que lui permet­taient les photographies souvent excellentes de son opérateur, Vigo a bâti un film nuageux où le pamphlet est noyé dans des contrastes usés depuis les romantiques. On voit des gros vieillards ramollis : le comique; puis des ouvriers brûlent les mannequins du Carneval : le tragique. Une vieille dame fait la jolie et jette sur les passants des boules de coton : le plaisir; un cimetière apparaît alors: c’est la mort; tous les spectateurs méditent la vanité de la vies. Vigo ne nous entraîne pas hors des chemins usés et la bourgeoisie ne s’en porte pas plus mal. Il est d’autre part naïf de prouver que les bourgeois sont haïssables parce qu’ils sont laids et ronflent en dormant : tous les prolétaires n’ont pas la figure d’un dieu et ce n’est pas la révolution qui guérira tout le monde des polypes et des végé­tations. Il y a des contrastes, des images plus efficaces contre la bourgeoisie. Jugeons seulement Vigo sur ses bonnes intentions. Il a achevé d’encombrer son film en faisant appel aux vieilles ficelles; des maisons à l’envers ont soudain le vertige, des vues se répètent inlassablement : sommes-nous belles, disent-elles. On voit une prostituée A, puis une prostituée B, puis C, et soudain miracle ! On comprend que c’est la même. Idée neuve des prostituées interchangeables. 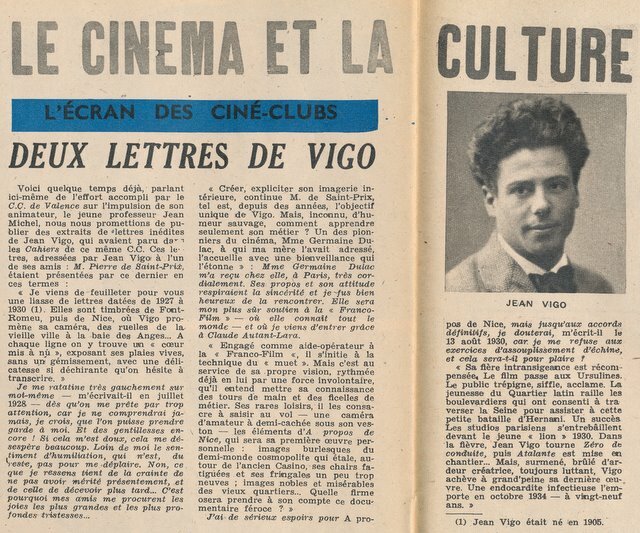 Les interviews accordées par Jean Vigo ont été rares, et pour cause. J’ai retrouvé celle-ci dans les documents qu’a bien voulu me communiquer Henri Storck. Signée des initiales L.P., elle a été publiée à Bruxelles dans les pages de La Libre Belgique, le 27 octobre 1933. 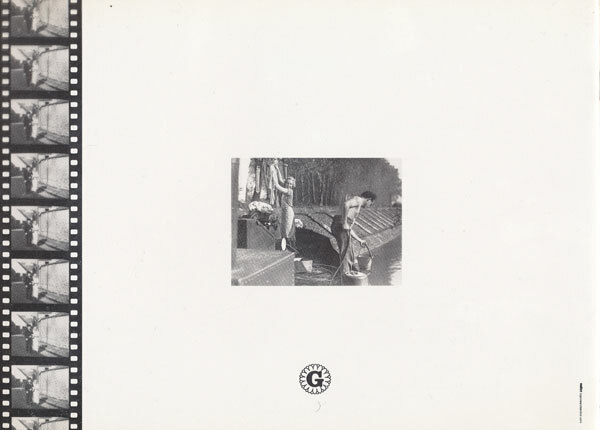 Reproduit dans Jean Vigo de Pierre Lherminier, ed.Seghers.1967. En un temps où les hommes de quarante ans se réclament de la jeunesse, et surtout s’ils sont gens de cinéma, on est particuliè­rement heureux de rencontrer quelqu’un dont l’âge explique les enthousiasmes et communique au talent cette sève sans quoi aucune oeuvre durable n’est possible. 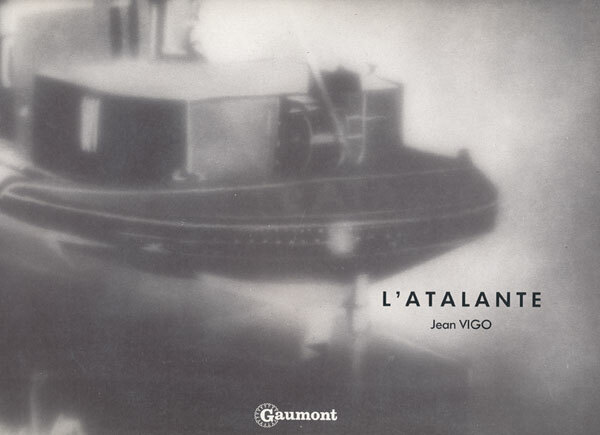 Tel Jean Vigo. Nous l’avons rencontré quand il vint présenter aux spectateurs bruxellois ce Zéro de conduite qui déchaîna les foudres de la censure française et dans lequel nous n’avons rien vu, pour notre part, qui motivât semblable sévérité. Vigo a le mobile et fin visage d’un adolescent. Les yeux bruns éclairent des traits un peu irréguliers mais empreints de la plus vive intelligence. Dégageant le front, la chevelure a ces ondulations que l’on prête volontiers aux poètes sur les médailles et les por­traits. En bref, une physionomie extraordinairement vivante et tout à fait en accord avec les propos optimistes, presque allègres, que nous tient Jean Vigo. Comme de bien entendu, nous l’interrogeons tout d’abord sur la situation faite, en France, aux auteurs de film. – Jean Dasté, que vous avez rencontré dans Zéro de conduite où il incarne le pion Huguet, et Michel Simon. Gendre de Copeau, Dasté a de qui tenir et vous avez pu l’apprécier par vous-même. Quant à Simon, nous avons imaginé pour lui un per­sonnage inquiétant, cynique et bravache, auquel il s’adaptera à merveille. – Et votre vedette féminine ? – Dita Parlo, l’actrice qui travaille maintenant sous la direction de Kirsanoff pour La Séparation des races, adaptation du roman de Ramuz. – Certes, j’ai notamment un « script » élaboré en collaboration avec Jean Painlevé et qui s’intitule Le Café du Bon Accueil. J’espère pouvoir l’extraire d’ici peu de mes cartons. Car la chance m’a toujours servi. Savez-vous comment je suis venu au cinéma ? Malade, je fis un long séjour à Nice. J’eus l’occasion de pénétrer dans les ateliers de prises de vues niçois en qualité d’assistant opérateur. Puis ce fut mon premier film. Un documentaire : A propos de Nice. Je le réussis grâce à l’aide précieuse de mon excellent cameraman Boris Kaufman, le frère du cinéaste russe Dziga-Vertoff. On s’accorda pour reconnaître des qualités à ma pellicule. Un soir, à Paris, on me propose de réaliser un documentaire sur la natation. J’ignorais tout de ce sport. N’empêche, en vingt-quatre heures, j’effectuai un découpage qui fut accepté. Il ne me restait plus qu’à enregistrer les mouvements exécutés par le champion Jean Taris dans une piscine à hublots. Taris est, par manière de parenthèse, d’une extrême obligeance. Aussi n’ai-je rencontré aucune difficulté. Vous connaissez le résultat de mon incursion dans un domaine jusqu’alors ignoré de moi. En ce qui concerne Zéro de conduite, la chose fut moins simple. J’en avais le sujet en tête, rien de plus. Il fallut commencer quand même, en raison de circonstances indépendantes de ma volonté, comme on dit. Au fur et à mesure de l’avancement du travail, je préparais les scènes à faire se dérouler devant l’objectif. C’est une méthode que je ne recommande à personne. Pour moi, j’avais autour de moi une équipe de camarades admirablement dévoués. Et tout d’abord votre compatriote Henri Storck dont j’admire le simple et si sincère talent. Puis mon vieux compagnon de A propos de Nice, Boris Kaufman, mes assistants Albert Riéra et Pierre Merle. Et tous les autres : accessoiristes, électriciens. – Encore une question. Votre jugement sur la production « Made in U.S.A. » ? – On édite là-bas maints films – ceux qui ont trait à des sujets sociaux notamment – dont on devrait s’inspirer chez nous. Mais n’oublions pas qu’il s’agit le plus souvent de pure propagande politique et non d’expressions d’un ordre intellectuel mieux organisé que le nôtre. Mais j’admire beaucoup des œuvres telles que Je suis un évadé (de Mervyn LeRoy.ndlr), œuvres constituant d’indiscutables réussites. – A quelles formules cinématographiques vont vos préférences? Pour Vous, 30 novembre 1933. Vraiment, m’a écrit Jean Vigo, tu veux venir nous voir jouer aux cinéastes ? Cependant que le metteur en scène vous entretient de son génie, la jeune première de son « art », les figurants de la façon curieuse et digne de mémoire dont ils soignent leur eczéma « un truc qu’ils tiennent de … vous savez bien, le type qui jouait dans…, oui c’est moi qui y fais le … » On a vite besoin de changer d’air. 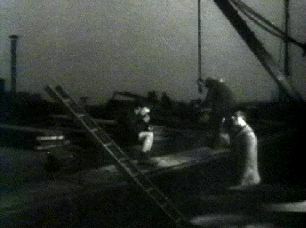 Jean Vigo tourne sur une péniche. Mais oui, comme tout le monde, il se sert de caméras, de sunlights, de soundmen. Le film s’appelle Atalante. L’Atalante, c’est la péniche. Il y a aussi une noce, des choses qui se passent dans la brume, de la vraie ou de l’imitée, des chats. C’est tout ce que je sais : je n’ai pas demandé qu’on me révèle l’histoire. Les histoires de ciné ! Et puisque c’est Jean Vigo qui la raconte ! 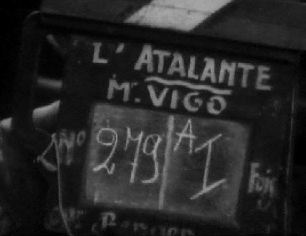 Jean Vigo n’a tourné encore qu’un grand film : Zéro de conduite. La censure l’a interdit. On n’a jamais bien sû pourquoi. Elle non plus. Mais ça vous pose un bonhomme de ne pas débuter par des vaudevilles bien roses. Vigo n’a d’ailleurs pas fait ça pour se signaler (il est si simple !) mais parce qu’il pense qu’il est naturel de se vendre, même lorsqu’on crève de faim. Il y a aussi Dita Parlo, une actrice – on aimerait mieux dire une jeune femme – très intelligente (que de neuf dans ce film ! ), très sensible, très naturelle, et qui pense et dit qu’une star ne vaut que ce que vaut son directeur. Et puis Michel Simon, ce non-conformiste qui pour faire un signe de croix sait avoir l’air plus cafard qu’un homme noir de Genève ce – comment dire : lettré ? c’est trop rat de biblio­thèque ; cultivé ? c’est trop amateur – ce type comme il y en avait au temps de Rabelais et pour qui rien d’humain n’est étran­ger, dont on croirait que tous les jours il descend l’escalier de la berge avec sa casquette de marinier, son tablier rapiécé, son cabas de provisions d’où pend un poumon rose pour ses chats. « Eh bien, les mignons ! c’est bon, ça. Mange donc, toi, sacrée charogne ! » Devant lui, marche le gosse de Zéro de conduite, l’air buté ; mauvaise tête, doit dire son prof, s’il en a un, car il ne peut pas s’empêcher d’injurier tout ce qui porte un col raide ou une cas­quette galonnée. Vigo, creusé, fiévreux, et qui n’a rien mangé depuis le matin (il est cinq heures) – « Faut pas être trop exigeant, dit-il, j’ai mangé hier » – barbote dans une assiette de petits pois refroidis, un chat sur l’épaule, qui a eu peur des sunlights et qui s’oublie un peu partout. La folle orgie du cinéma, quoi ! Il y a un kilomètre de foules pour voir ça, qui doivent être là depuis le matin, des boutiquiers qui se relaient, tous les passants qui étaient sûrement pressés, à six heures, des petites filles éblouies (« Regarde-le… si, si, c’est Michel Simon ») et des sergents de ville tout fiers de leur droit d’être au premier rang et qui, de temps en temps, mettent un peu de désordre dans cette foule bien sage. Pour Vous, n° 289, 31 mai 1934. « Les Français, a dit René Clair, le plus constamment heureux sinon le meilleur de nos cinéastes, ne comprennent rien au cinéma. » C’est vrai. Pourquoi ? Peuple plus loquace – sinon écouteur – que visuel. Bavard, ou plutôt aimant le bavardage, et le bavard. Eprouvant toujours le besoin de traduire l’image en mots, chose assez choquante, et probablement impossible, quelque peu sotte par surcroît. D’abord sensible au développement dialogué d’une intrigue romanesque, et par là indifférent à la beauté d’un éclai­rage, d’un rythme, d’un contraste, d’un volume, d’un passage, réa­lités pourtant nécessaires et suffisantes à définir le cinéma. C’est pourquoi les vrais cinéastes français sont rares, ou trop vite découragés. En voici un. Et son bilan devrait suffire à le classer. Jean Vigo ? Un film oublié, parce qu’inattendu. Un film interdit, parce que d’une pensée trop amère, et subversive. Un film non encore projeté. Pourquoi ? A propos de Nice, Zéro de conduite, L’Atalante. Je ne retiens que le dernier, puisque le premier est muet, et que les films muets ont à tel point cessé de plaire – aux specta­teurs ? je n’en suis pas très sûr, en tout cas aux directeurs de salles – que le génial Charlie Chaplin est redescendu vivant dans les limbes. Puisque le second ne peut atteindre un public protégé contre la pensée par une institution qui croit représenter l’ordre et ne représente que la peur. L’Atalante ? De l’humain. De l’humain chez les pauvres gens. En chandail et camisole. Pas de cristaux étincelants sur la nappe. Des torchons qui pendent, des casseroles. Des baquets. Du pain. Un litre. Des lueurs humbles dans la demi-obscurité accrue par les brouillards du fleuve. 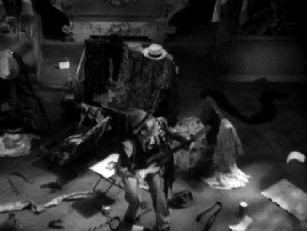 L’ombre furtive de Rembrandt qui se ren­contre, entre des meubles rugueux et des cloisons de planche, avec l’ombre sournoise de Goya, des guitares, des chats galeux, de grossiers masques de danse, des monstres empaillés, des mains coupées dans un bocal, cet étrange parfum d’exotisme et de poésie que tout vieux marin traîne après lui dans les relents du rhum et du goudron, je ne sais quel rayon inattendu des mers illuminées dans le plus pauvre repaire. Un clown burlesque, avec sa pacotille de magie, démon pour pauvres bougres que la tentation n’avait pas touchés, parce que les bateaux sur les canaux et les rivières ne passent pas la lisière des villes. Je songeais tout le temps à ces pinceaux de lumière promenés si loin d’eux par la couronne tournante des phares et touchant au hasard sur l’eau noire une épave, un cadavre, un paquet d’algues, ou un miroitement à la surface de l’abîme. « Belles images, mais pas de rythme », me disait, en sortant de là, un écrivain de grande classe. Je n’en suis pas du tout certain. D’abord, depuis quelques années, nous sommes tous possédés par cette hantise du rythme importée dans une Europe encore étourdie du fracas de la guerre, et de ce mélange enivrant de somnolence et de nervosité qui l’a suivie, par la passion du jazz, des tangos, des danses exotiques, des sculptures nègres, par les progrès d’un machinisme que tant de sonorités cadencées accompagnent, et peut-être imposé à son anarchie politique par la nécessité urgente d’y introduire un ordre neuf. En outre, il est possible que l’écran d’Amérique – notre maî­tre, je le reconnais et le proclame – nous ait imposé son propre rythme et que nous ne sachions plus saisir, hors de lui, si préci­pité, si marqué, sonnant, luisant, tranchant comme des leviers et des bielles, présent dans le geste, les attitudes, le mouvement des lèvres des acteurs et l’éclair de ce couteau, et le halètement de cette motocyclette, et les vives lueurs et les trépidations de ce central téléphonique, le rythme qui nous est spécial, à nous, peuple vivant au ralenti certes, et trop statique à coup sûr, mais dont les cadences mentales ont toujours joué entre des sentiments moyens et des sensations raisonnables, et plus habitué au bruit des pas de La Fontaine qu’à celui des pas de Whitman. Il faut se risquer, pour comprendre, à dépasser les impératifs de l’époque, à descendre au fond de soi, à gratter le vernis des habi­tudes et des formules actuelles, pour demander à chaque groupe humain ce qu’il peut et doit apporter à ce langage universel que nous épelons à peine. Après tout, Delacroix et Corot n’étaient-ils pas l’un et l’autre d’ici, et, chose plus singulière, contemporains ; celui-là martelant à coups de passion le dedans des choses pour en projeter la substance au-dehors, celui-ci les ramenant toutes à un mouvement secret hiérarchisé sans y paraître dans une sympathie commune, interrogeant discrètement l’ordre de l’univers au lieu de lui impo­ser ses désirs et de le forcer dans tous ses asiles ? Justement, j’ai souvent pensé à Corot devant ces paysages d’eau, d’arbres, de petites maisons sur la rive calme et de bateaux qui cheminent avec lenteur devant leur sillage d’argent, à sa mise en page impeccable, à sa force invisible parce que maîtresse d’elle-même, à cet équilibre de tous les éléments du drame visuel dans l’accueil tendre d’une acceptation totale, à la perle et l’or qui recouvrent de leur voile transparent la netteté des plans et la fermeté des lignes. Et peut-être de ce fait, ai-je apprécié davantage le plaisir de respirer, dans ce cadre si net, si parfaitement dépourvu d’empâtement et de boursouflures, classique en somme, l’esprit même de l’oeuvre de Jean Vigo presque violent, en tout cas tourmenté, fiévreux, regorgeant d’idées et de fantaisie truculente, d’un romantisme virulent ou même démoniaque, bien que constam­ment humain. On présente enfin au public Zéro de conduite, de Jean Vigo, film célèbre et inconnu. L’oeuvre date de plus de dix ans, elle fut interdite par la censure dès sa naissance, et depuis ce jour, les amis de Jean Vigo et du cinéma, qui se trouvaient être les mêmes, et être aussi les ennemis de la censure, se montraient le film en cachette et en parlaient beaucoup. Nous avions raison d’en parler. Main­tenant, tout le monde peut le voir. Je ne dirai pas que la bataille soit gagnée, d’abord parce qu’il est trop tard : Jean Vigo est mort à vingt-neuf ans, après une carrière difficile, qui ne fut guère soute­nue que par l’amitié, ce qui ne suffit pas au cinéma. Ensuite parce qu’on ne juge pas bien un film vieux de dix ans (la copie est, semble-t-il, imparfaite et in­complète), et surtout parce que nous ne saurons jamais ce que Jean Vigo aurait fait par la suite, les bénéfices et les le­çons qu’il aurait tirés de sa propre vic­toire. Mais, justement, dans Zéro de conduite, ce qui est le plus émouvant, c’est peut-être, mieux encore que l’oeuvre elle-même, mieux encore que cette dé­couverte d’un passé, l’image d’un avenir qui ne s’est pas réalisé. L’avenir de Jean Vigo, d’abord. On l’a dit cent fois : il était l’un des mieux doués parmi les metteurs en scène de son âge, et il aurait bien fini par trouver les com­manditaires et le public qu’ont trouvés les autres. Mais aussi, dans une certaine mesure, l’avenir du cinéma français. Un homme comme Jean Vigo eût été utile à tout le monde, et justement parce qu’il était lui-même. Déjà, dans son premier film, un documentaire : A propos de Nice, il prouvait, dès le titre même, qu’il savait non seulement voir mais montrer, c’est-à-dire interpréter. Zéro de conduite en apporte la preuve : ce film, qui se déroule dans un internat de jeunes garçons, est presque, lui aussi, un documentaire, mais vivant, riche, chargé de sens, lourd d’amertume et d’ironie. La censure ne s’y est pas trompée : elle ne tolère que la satire souriante, anodine, c’est-à-dire, finalement, un peu complice. Or Zéro de conduite est un film brusque, sans poli­tesse, et qui passe, sans avertir, de l’ai­mable à l’acerbe. C’est le ton que déteste le plus la censure : elle aime bien le tout rose et elle accepte le tout noir ; dans ces couleurs-là, on sait à qui on a affaire. Tandis que, devant ces auteurs qui font rire d’un rire un peu trouble, la censure s’inquiète, elle flaire des idées de der­rière la tête. Et elle a raison. Elle n’est pas si bête qu’elle en a l’air, la censure. On peut même soutenir qu’elle ne se trompe jamais. Zéro de conduite nous montre de jeunes enfants et leurs maîtres. Les enfants font les mêmes gestes, trament les mêmes complots et sont aussi bêtes que tous les galopins de tous les collèges. Leur principal et leurs profes­seurs ne sont pas non plus des êtres féroces, ni sadiques ; les caricatures, ici, ne sont pas poussées plus au noir que tant d’autres… Et pourtant, il y a à tra­vers tout le film un ton insolite, une du­reté dans l’ironie, une lucidité découragée qui font un film très différent de toutes les autres histoires de collège. Ce n’est pas parce que les gamins se révoltent, ce n’est même pas parce qu’ils viennent chahuter, pendant la fête du collège, le principal, le préfet et l’abbé, que ce film a été interdit. On en a vu bien d’autres. Ce n’est pas même à cause de telle ou telle image non ; rien n’est violent dans ce film ; rien n’est vraiment cruel. C’est à cause de l’auteur ; non pas de Jean Vigo personnellement et nommément, mais parce que derrière ce récit il y a un homme qui pense à quelque chose, au delà de ‘ses images. Ce n’est pas fré­quent. Et cela fait toujours un peu peur. En cela, il faut avouer que le public n’est jamais très loin de la censure. Zéro de conduite l’amuse, l’attire, mais aussi le déroute, l’inquiète. C’est la seule erreur de ce film, qu’il ne fait, comme on dit, aucune concession, sinon peut-être à une certaine esthétique dont le principe essentiel est de n’en faire aucune. Il n’est pas fait pour le public, ce qui est bon ; mais il est fait un peu contre lui, ce qui est toujours dangereux. Et puis, cela dit, Zéro de conduite est un film ravissant. Ne croyez pas à un film noir. Gai, au contraire, avec des gags éclatants, un incroyable et fourmillante richesse d’invention, ce qui est si rare en France. Trop souvent, pour souligner la qualité d’une œuvre inconnue, sinon mé­connue, on croit devoir insister sur ses intentions, sur ses arrière-plans ; et je tombe peut-être, moi-même, dans ce tra­vers. Mais non. Zéro de conduite est un film charmant comme sont charmants tous les souvenirs d’enfance, même tris­tes. Les enfants n’y sont pas « mignons tout plein », mais vrais et directs, bour­rés de défauts et de vertus, comme tous les enfants. On connaît peu d’oeuvres sur la jeunesse qui réussissent aussi bien à émouvoir sans chercher à attendrir. Emil et les Détectives, de Gerhardt Lamprecht, est de la même année, sauf erreur. Encore est-il beaucoup plus imprégné d’une gen­tillesse un peu suspecte. Par la suite, les Américains ont travaillé la question des films d’enfants, et fort bien, dans leur style à eux. En France, on n’a jamais trouvé le vrai ton de la littérature enfan­tine. Jacques Darroy, dans La Guerre des Gosses, Louis Daquin, dans Nous les Gosses, sont intelligents, sensibles et jus­tes ; mais encore rattachés à des tradi­tions littéraires. Jean Vigo est moins adroit mais plus direct, et surtout il prend les enfants dans leur vie de chaque ins­tant, et non pas dans leurs récréations. Dans leur vie intérieure surtout. Je ne dis rien de la mise en scène, quoiqu’il y ait beaucoup à en dire : on remarquera avec quelle aisance Jean Vigo, dans des plans vastes, où jouent de nombreux personnages, sait montrer exactement le geste, le détail, qui doivent être vus. C’est d’une sûreté admi­rable. Mais il faut bien dire un mot d’un certain sens poétique (le mot a été gal­vaudé) qui éclate soudain, et qui trouble presque, comme cette scène de la révolte au dortoir, où soudain le ralenti inter­vient pour transfigurer tous ces gamins en chemise, et fait paraître une proces­sion de petits anges à la fois charmants et bouffons. On ne sait s’il faut rire ou y aller de sa larme. C’est ce qu’on appelle être ému. On est souvent ému. 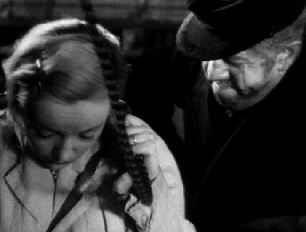 Et jusque dans les passages qui semblent d’abord purement comiques, comme cette scène étrange où le petit pion si gentil s’essaie en secret à marcher comme Charlot… Ce gag ne vient pas par hasard. L’influence de Cha­plin est évidente et avouée; celle de René Clair est visible aussi, mais sans doute moins acceptée. 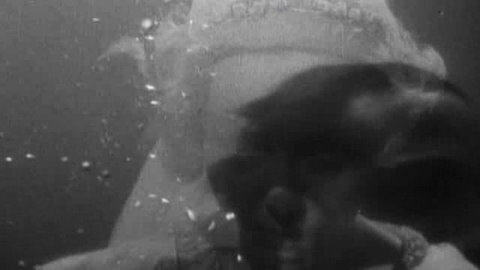 Jean Vigo, tout jeune, avait des maîtres, et pourquoi non ? Sa personnalité, comme il arrive toujours, n’en était que mieux affirmée, Il inventait quelque chose. Depuis, nous avons vu fleurir et non pas seulement au cinéma, cet humour iro­nique, un peu âcre, ému et sarcastique, ce rire très franc et qui se casse. C’est presque devenu un procédé, et naturelle­ment les moyens techniques de cet art-là ont été mis au point. Mais Zéro de conduite, film secret et important, est à l’origine de tout cela. J’avais tort de dire que Jean Vigo n’avait pas eu son avenir. Il l’a mainte­nant. Son avenir, c’est le passé des autres. En bonus voici le court article sur cette sortie de Zéro de conduite dans le numéro précédent de L’Ecran français (n°21 daté du 21 novembre 1945). Je me ratatine très gauchement sur moi-même – m’écrivait-il en juillet 1928 – dès qu’on me prête par trop attention, car je ne comprendrai ja­mais, je crois, que l’on puisse prendre garde à moi. Et des gentillesses en­core ! Si cela m’est doux, cela me dé­sespère beaucoup. Mme Germaine Dulac m’a reçu chez elle, à Paris, très cor­dialement. Ses propos et son attitude respiraient la sincérité et je fus bien heureux de la rencontrer. Elle sera mon plus sur soutien à la « Franco-Film » – où elle connaît tout le monde – et où je viens d’entrer grâces à Claude Autant-Lara. J’ai de sérieux espoirs pour A pro­pos de Nice, mais jusqu’aux accords définitifs, je douterai, m’écrit-il le 13 août 1930, car, je me refuse aux exercices d’assouplissement d’échine, et cela sera-t-il pour plaire ? « Sa fière intransigeance est récom­pensée, Le film passe aux Ursulines. Le public trépigne, siffle, acclame. La jeunesse du Quartier latin raille les boulevardiers qui ont consenti à tra­verser la Seine pour assister à cette petite bataille d’Hernani. Un succès. Les studios parisiens s’entrebâillent devant le jeune « lion » 1930. 26-4-1905. 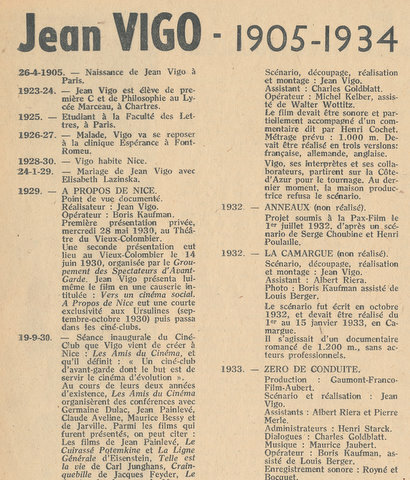 — Naissance de Jean Vigo à Paris. 1923-24. 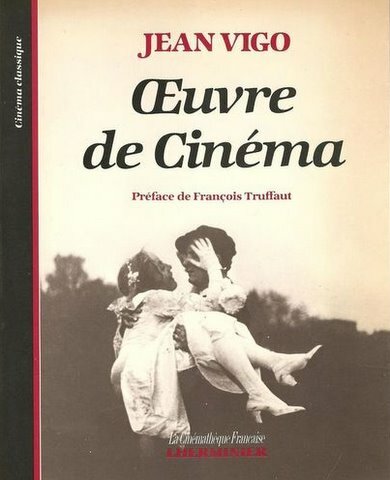 — Jean Vigo est élève de pre­mière C et de Philosophie au Ly­cée Marceau, à Chartres. 1925. — Etudiant à la Faculté des Let­tres, à Paris. 1926-27. — Malade, Vigo va se reposer à la clinique Espérance à Font-­Romeu. 1928-30. — Vigo habite Nice. 24-1-29. 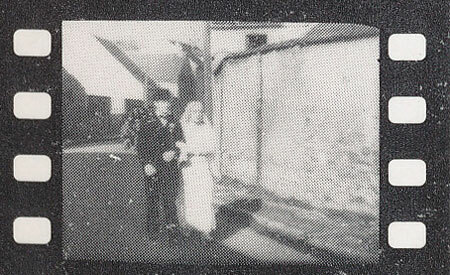 — Mariage de jean Vigo avec Elisabeth Lazinska. 1929. — A PROPOS DE NICE. Point de vue documenté. Réalisateur : Jean Vigo. Opérateur : Boris Kaufman. Première présentation privée, mercredi 28 mai 1930, au Théâ­tre du Vieux-Colombier. Une seconde présentation eut lieu au Vieux-Colombier le 14 juin 1930, organisée par le Grou­pement des Spectateurs d’Avant-Garde. Jean Vigo présenta lui-même le film en une causerie in­titulée : Vers un cinéma social. A Propos de Nice eut une courte exclusivité aux Ursulines (sep­tembre-octobre 1930) puis passa dans les ciné-clubs. 19-9-30. — Séance inaugurale du Ciné-Club que Vigo vient de créer à Nice : Les Amis du Cinéma, et qu’il définit : « Un ciné-club d’avant-garde dont le but est de servir le cinéma d’évolution ». Au cours de leurs deux années d’existence, Les Amis du Cinéma organisèrent des conférences avec Germaine Dulac, Jean Painlevé, Claude Aveline, Maurice Bessy et de Jarville. Parmi les films qui furent présentés, on peut citer : Les films de Jean Painlevé, Le Cuirassé Potemkine et La Ligne Générale d’Eisenstein, Telle est la vie de Carl Junghans, Crain­quebille de Jacques Feyder, Le dernier des hommes de Murnau, des films d’avant-garde et La Nouvelle Babylone de Trauberg. 1931. — Lors du 2e Congrès de la Fédéra­tion Française des Ciné-Clubs, Jean Vigo est élu membre du Co­mité Directeur de la F.F.C.C. 30-6-31. — Naissance de Luce Vigo. Présenté aussi sous le titre Taris, roi de l’eau. Première réalisation documen­taire du « Journal vivant ». (Di­recteur artistique : M. Morskoi). Scénario et réalisation : Jean Vigo. Opérateur : Boris Kaufman. Tourné à la piscine de l’Automo­bile-Club de France dont les hu­blots permirent les vues sous-marines. 1932. — LE TENNIS (non réalisé). Jean Vigo devait donner le 5 fé­vrier 1932, à Monte-Carlo, le premier tour de manivelle d’un film sur le tennis, interprété par Henri Cochet. Scénario, découpage, réalisation et montage : Jean Vigo. Assistant : Charles Goldblatt. 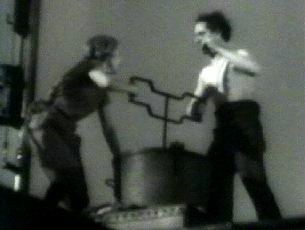 Opérateur : Michel Kelber, assisté de Walter Wottitz. Le film devait être sonore et par­tiellement accompagné d’un com­mentaire dit par Henri Cochet. Métrage prévu : 1.000 m.
De­vait être réalisé en trois versions: française, allemande, anglaise. Vigo, ses interprètes et ses colla­borateurs, partirent sur la Côte-d’Azur pour le tournage. Au der­nier moment, la maison produc­trice refusa le scénario. 1932. — ANNEAUX (non réalisé). Projet soumis à la Pax-Film le 1er juillet 1932, d’après un scé­nario de Serge Choubine et Henri Poulaille. 1932. — LA CAMARGUE (non réalisé). Scénario, découpage, réalisation et montage : Jean Vigo. Assistant : Albert Riera. Photo : Boris Kaufman assisté de Louis Berger. Le scénario fut écrit en octobre 1932, et devait être réalisé du 1er au 15 janvier 1933, en Ca­margue. Il s’agissait d’un documentaire romancé de 1.200 m., sans ac­teurs professionnels. 1933. — ZERO DE CONDUITE. 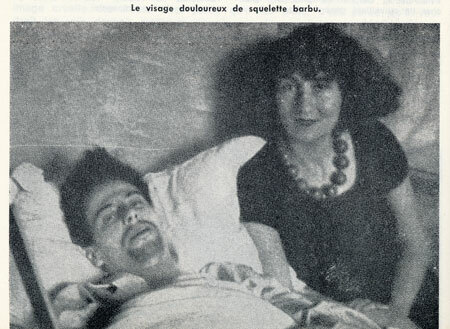 Scénario et réalisation : Jean Vigo. Assistants : Albert Riera et Pierre Merle. Administrateurs : Henri Starck. Dialogues : Charles Goldblatt. Musique : Maurice Jaubert. Opérateur : Boris Kaufman, assisté de Louis Berger. Enregistrement sonore : Royné et Bocquet. Durée de projection : 47 minutes. Jean Dasté : le surveillant Hugnet. Robert Le Filon : un pion. Le nain Delphin : le Principal. Du Verron et Blanchar : les surveillants. Larive : le professeur de chimie. Louis de Gonzague-Frick : le pré­fet. Raphaël Diligent : le pompier. Louis Lefebvre : l’élève Cossat. G. Pruchon : l’élève Colin. G. de Bedarieux : l’élève Tabard. Kelber : l’élève Bruel. C. Goldstein : un autre élève. Le film fut interdit par la censure en août 1933, à la suite de pro­testations des « pères de famille organisés ». La Commission de Censure ne daigna même pas voir le film. Motif de l’interdiction : Film anti-français. Il ne reçut le visa de censure qu’après la Libé­ration. 1933. — CLOWN PAR AMOUR (non réa­lisé). D’après un scénario de Georges de la Fouchardière.L’interprète principal devait en être le clown Beby. Production : J.-L. Nounez 1934. Scénario : Jean Guinée. Réalisateur : Jean Vigo. Musique : Maurice Jaubert. Opérateur : Boris Kaufman, assisté de Louis Berger. Montage : Louis Chavance. Enregistrement : Radio-Cinéma. Studios : G.F.F.A. (Villette). Durée de projection : 89 minutes. Présentation : 24 avril 1934. Sortie en exclusivité au Colisée (début septembre 1934). L’Atalante fut présenté à la Bien­nale de Venise. Michel Simon : le Père Jules, Jean Dasté : Jean, le patron de l’ « Atalante ». Dita Parlo : Juliette, sa femme. Gilles Margaritis : le camelot. Le petit Lefebvre : le mousse. L’Atalante fut projeté sous le ti­tre Le Chaland qui passe, les pro­ducteurs n’ayant pas trouvé le titre primitif assez commercial, et voulant bénéficier de la vogue d’une chanson de C.A. Bixio, qui fut intégrée à la musique du film. 5-10-34. — Mort de Jean Vigo à son do­micile, 23, rue Gazan, d’une en­docardite. Dans les papiers de Jean Vigo, on a retrouvé un certain nombre de projets plus ou moins avances (projets de scénarios, scénarios, découpages). Une des premières lignes du scé­nario mentionne l’entrée chez une chiromancienne, d’un acrobate marchant sur les mains. Vigo en­visageait, pour interprète princi­pal, un danseur acrobatique, tel Pomiès. LA DOUBLE MORT DE FREDERIC BELOT. Scénario de Claude Aveline, d’après son roman. Scénario humoristique sur les chauves. 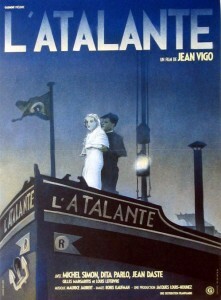 Scénario de Claude Aveline, en collaboration avec Jean Vigo. d’après un épisode de Le Point du Jour, roman de Claude Ave­line. Autre titre : L’Evadé du Bagne. Scénario d’après les reportages parus dans Le Petit Parisien et les ouvrages Au bagne et l’Hom­me qui s’évada, d’Albert Londres. Adaptation cinématographiquee : julien Dupont et Eugène Dieu­donné. Réalisation : Jean Vigo. Interprètes envisagés : Eugène Dieudonné et Gaby Morlay ou Florelle. Jean Vigo n’envisageait de faire ce film que s’il pouvait le tour­ner à la Guyane. Quatorze autres scénarios ont été retrouvés dans les papiers de Jean Vigo (notamment La boîte à sur­prise de Paul Gilson, Matinée, de Léon Lévy et Henry Storck, Si on pariait, de Jules Supervielle) sans que rien puisse indiquer s’il avait d’intention de les réaliser. Bio-Filmographie établie par : Claude SOUEF. Claude Aveline (exécuteur testamentaire de Jean Vigo). 31, rue de Verneuil, Paris (79), serait reconnaissant aux auteurs d’ar­ticles ou d’études sur Vigo, de bien vouloir lui en faire parvenir un exemplaire pour lui permettre de tenir ses archives à jour.